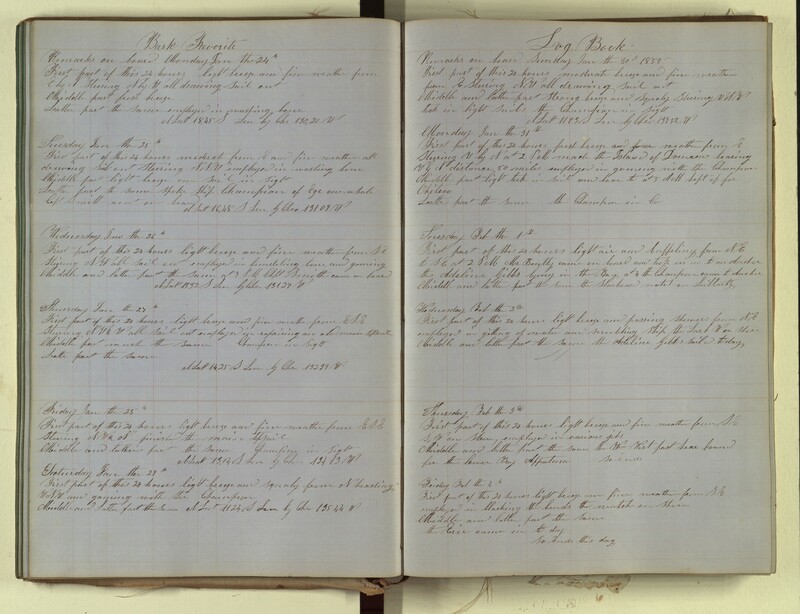 Under Captain Henry Smith, this voyage (1857–1861) from Fairhaven, MA to the Northern Pacific was rather unsuccessful, bringing home only 546 barrels of oil. 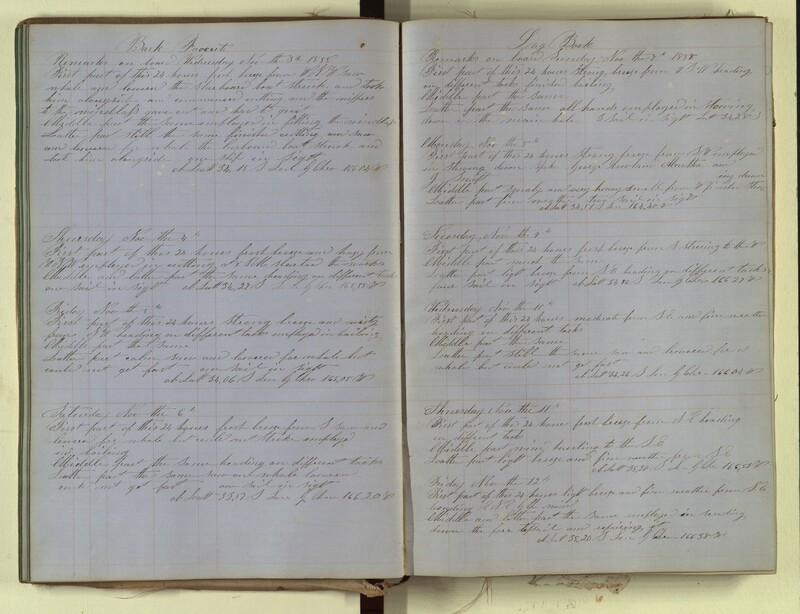 The ship recruited sailors from the Sandwich Islands, and in January 1860, off the coast of Monganui (New Zealand), “John Hill and Joe Hart” (natives) jumped ship and deserted—a common occurrence. 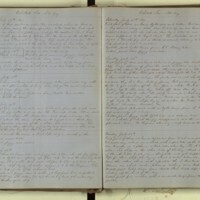 Returning to the north, there are some excellent details about Arctic whaling, and at a final stop in Hawaii a fight between the Second Mate and the Captain is described in detail. 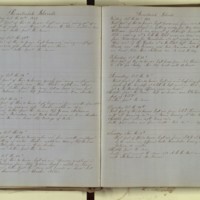 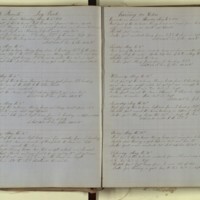 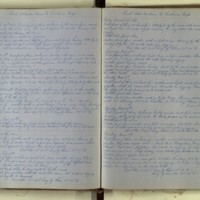 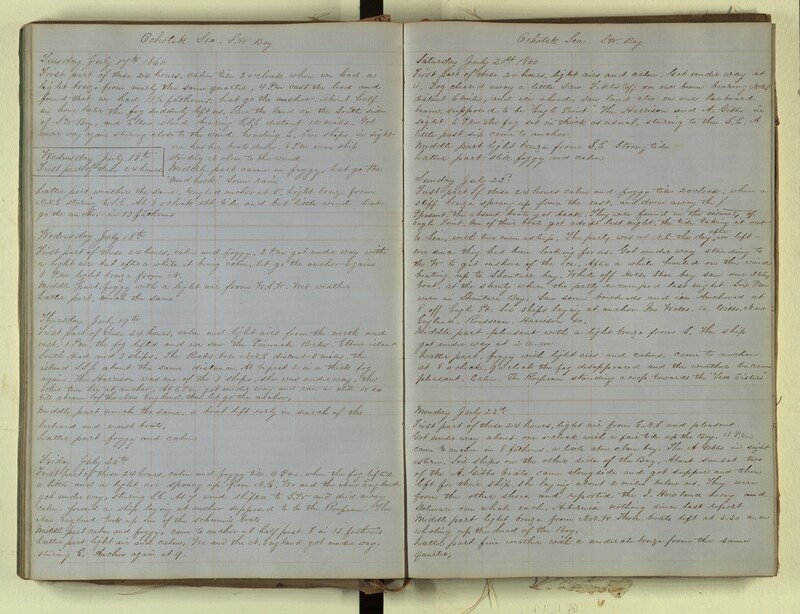 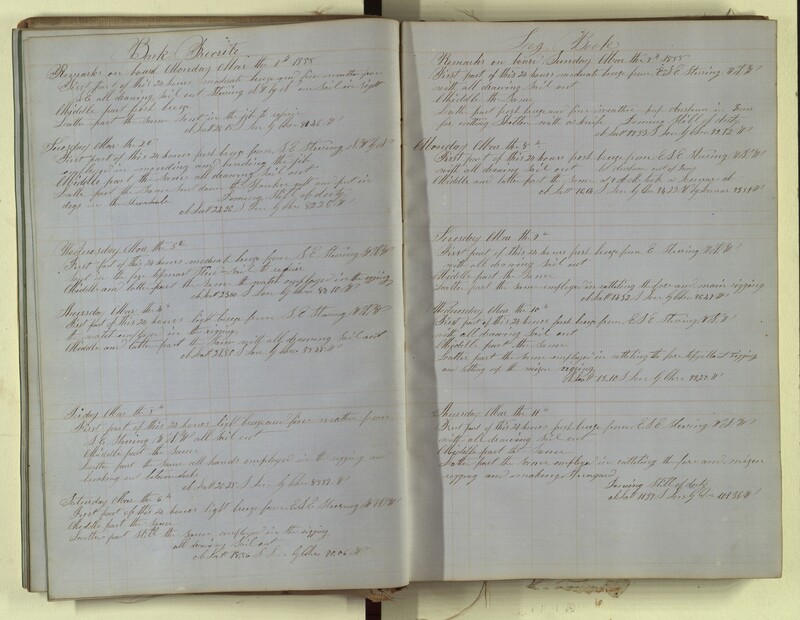 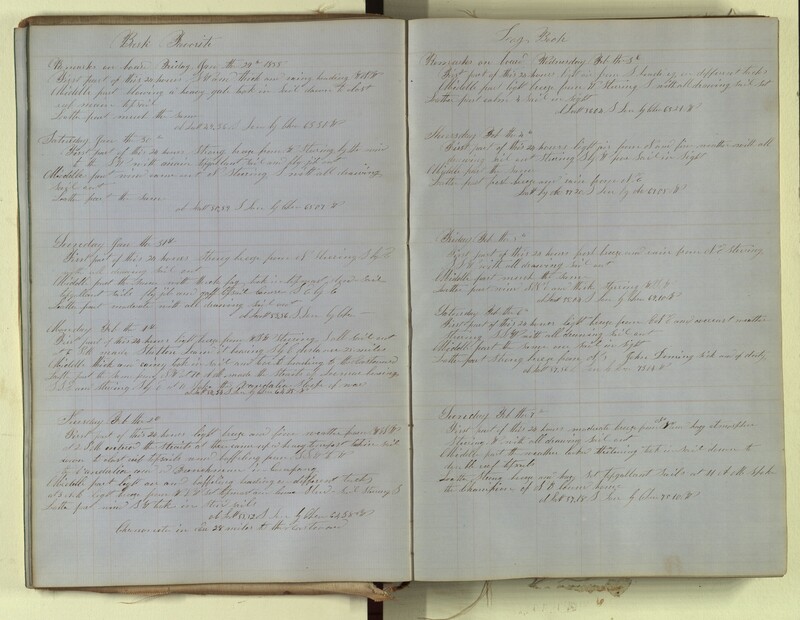 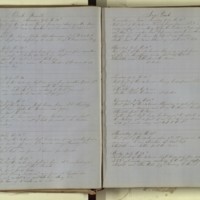 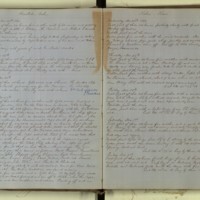 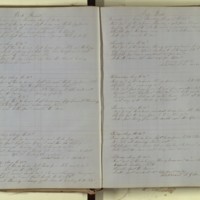 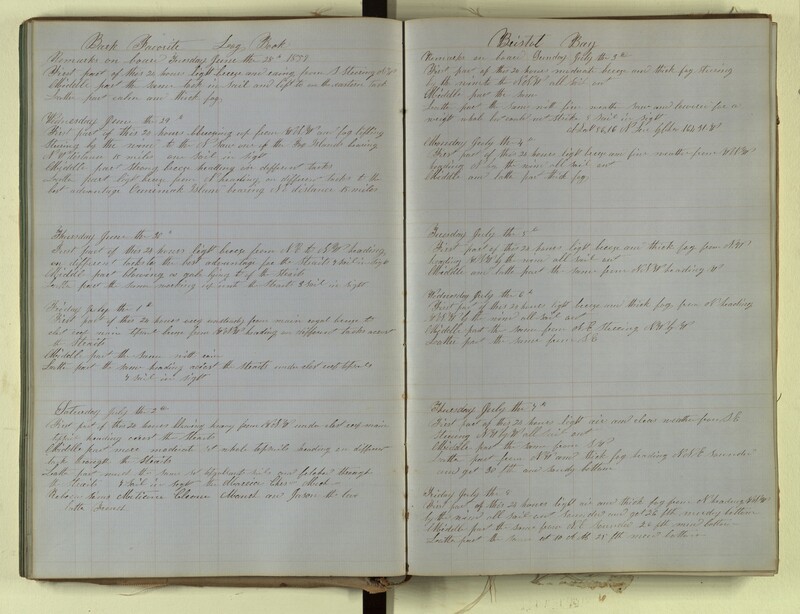 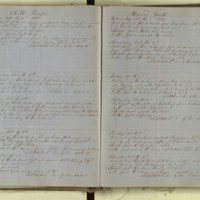 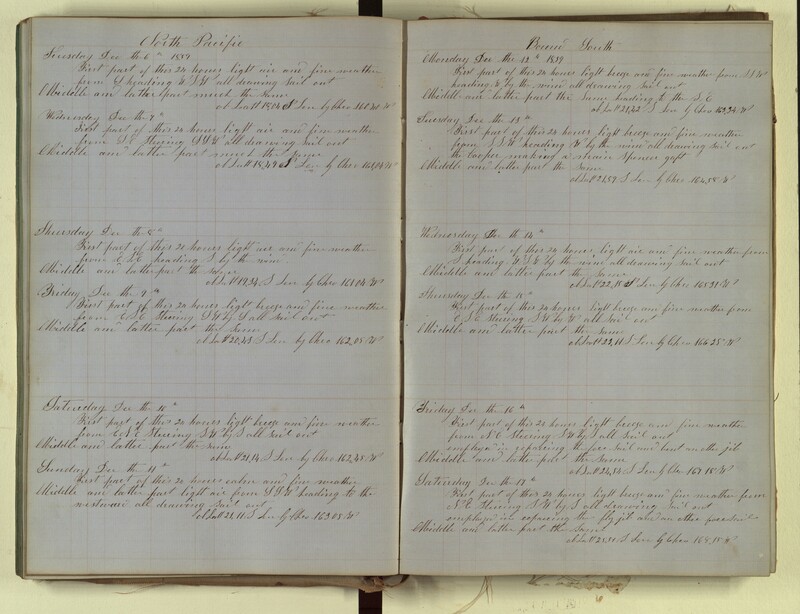 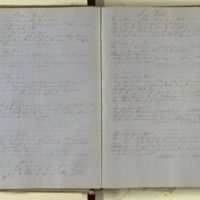 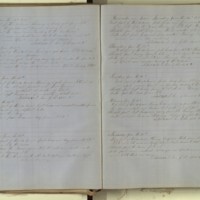 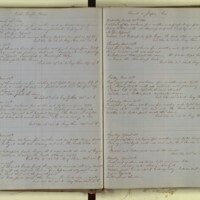 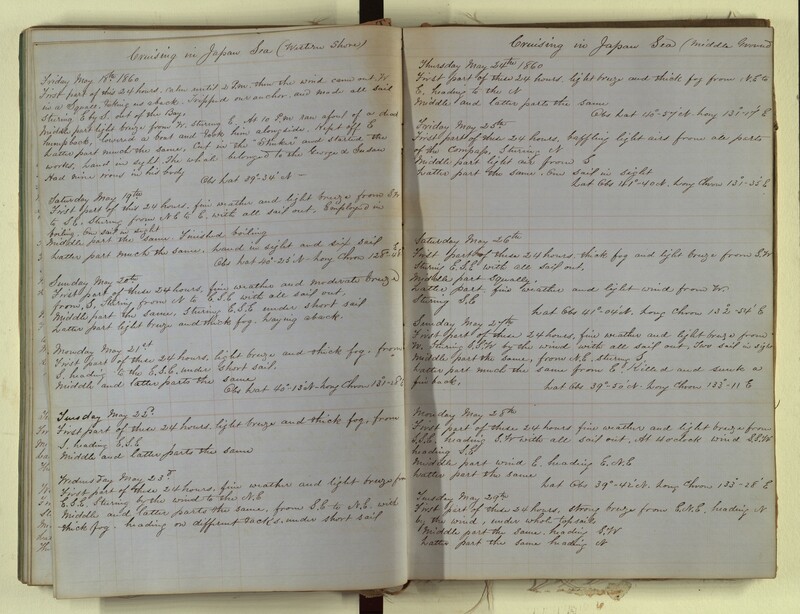 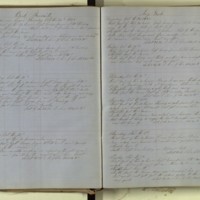 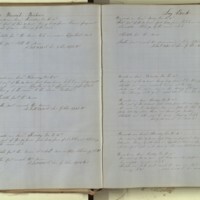 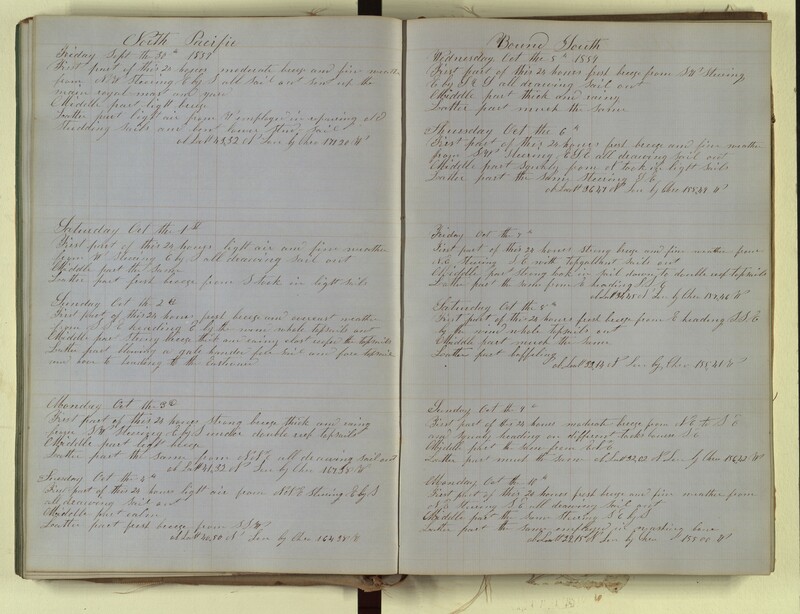 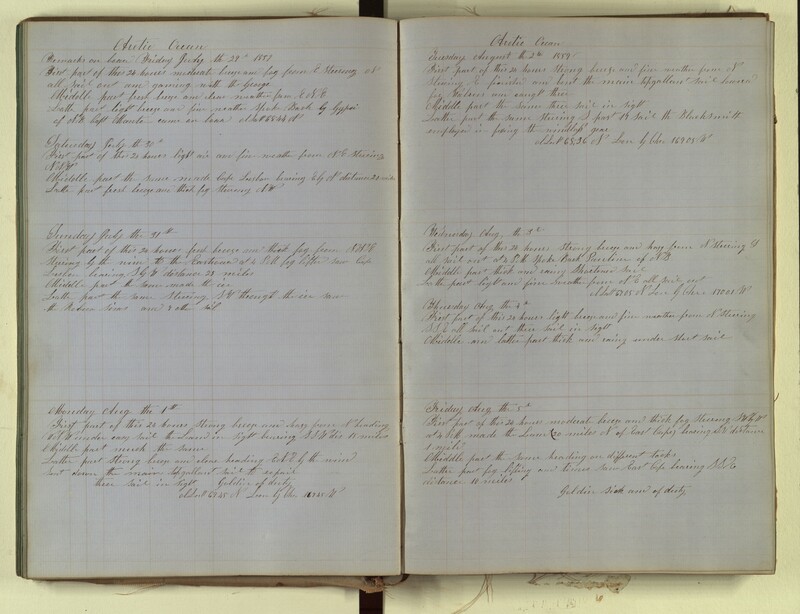 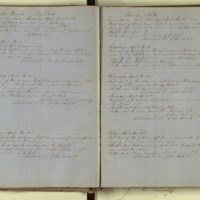 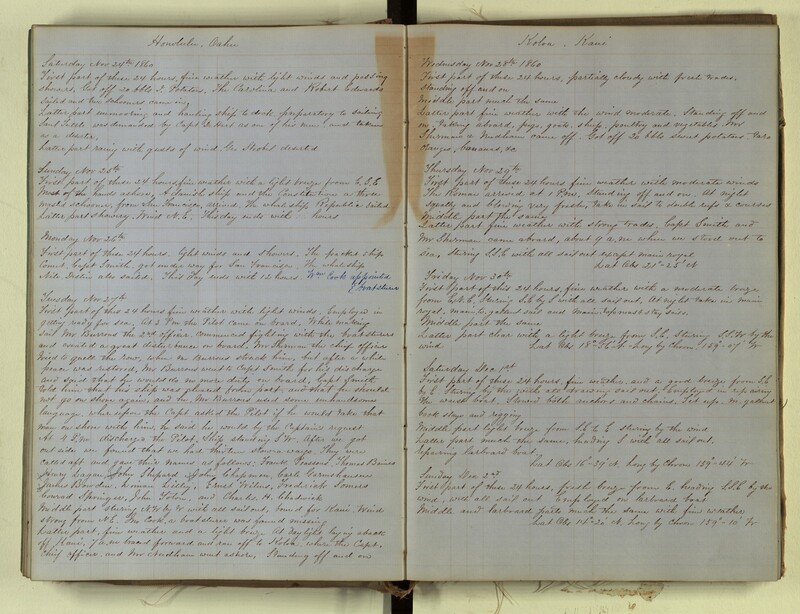 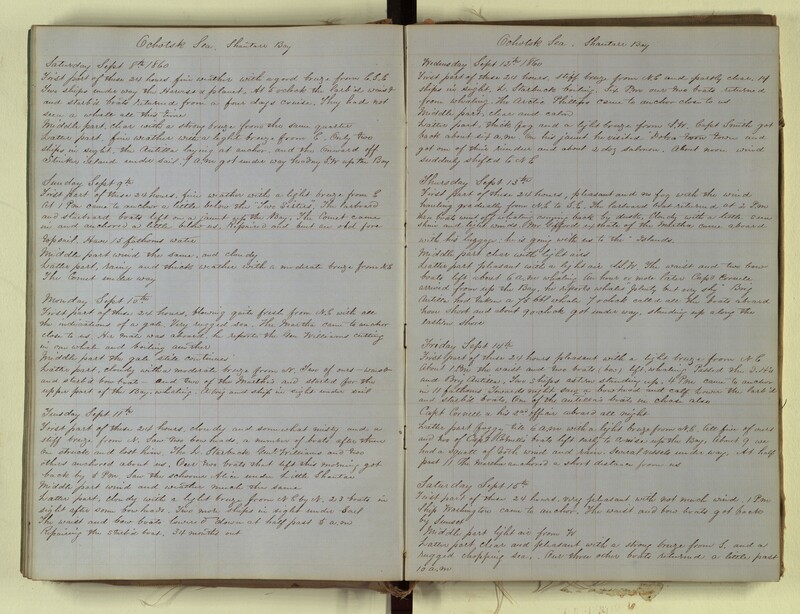 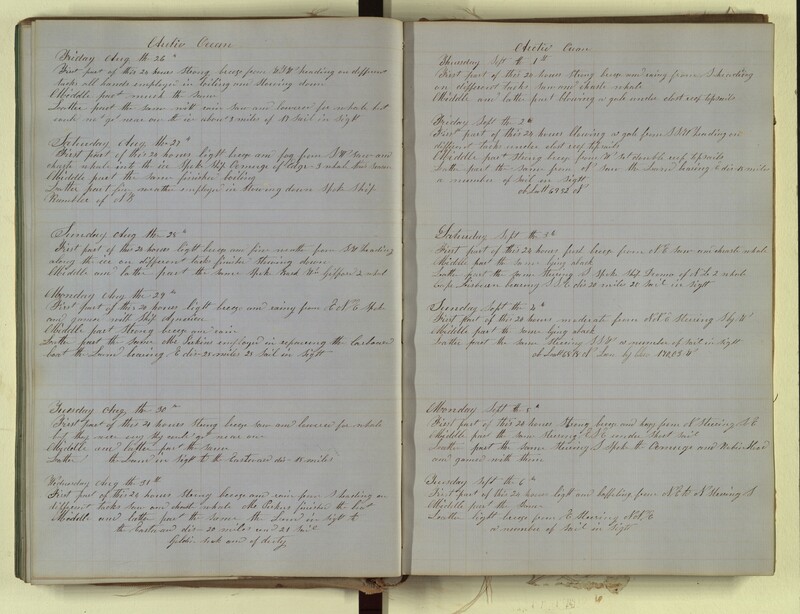 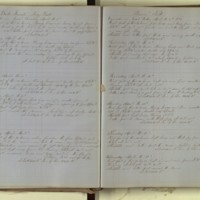 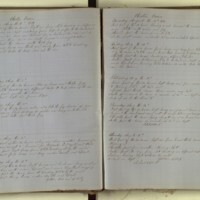 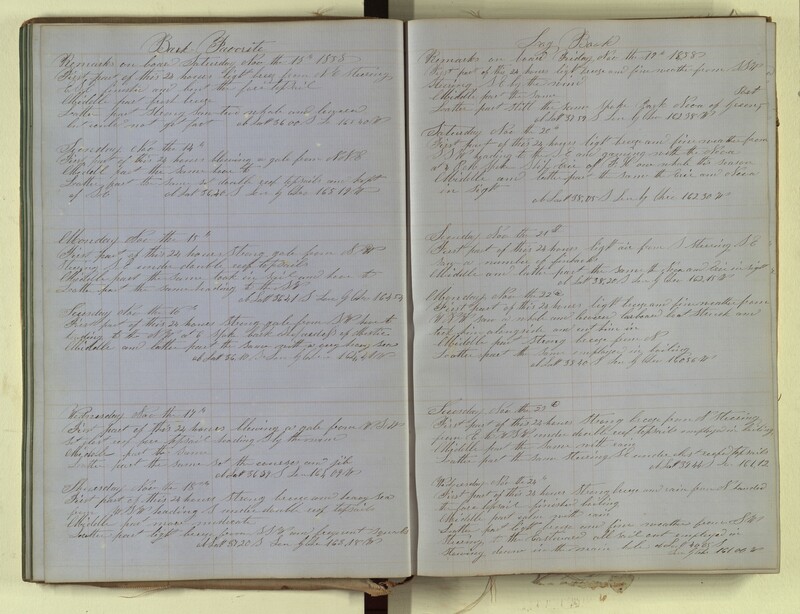 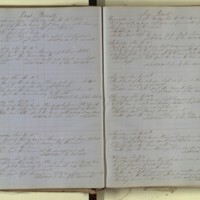 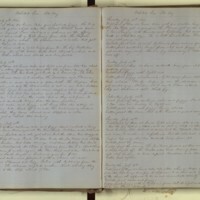 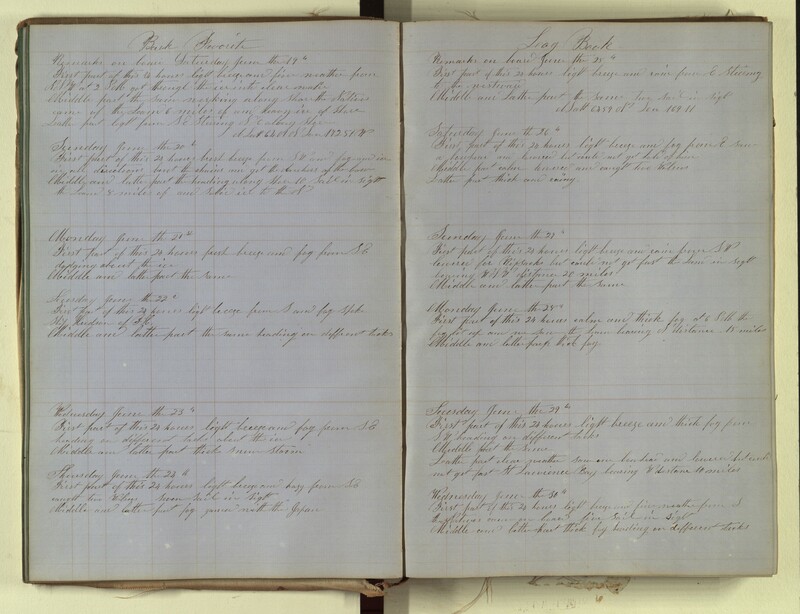 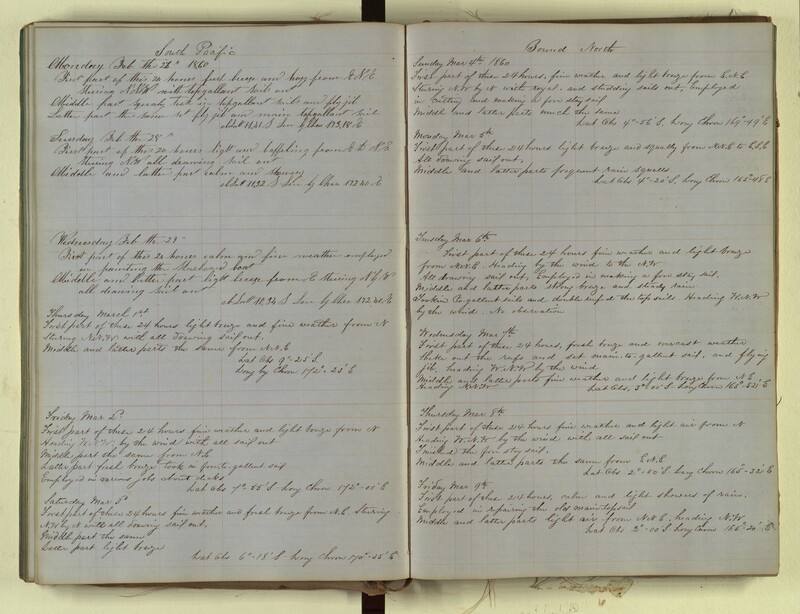 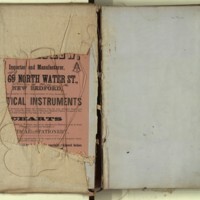 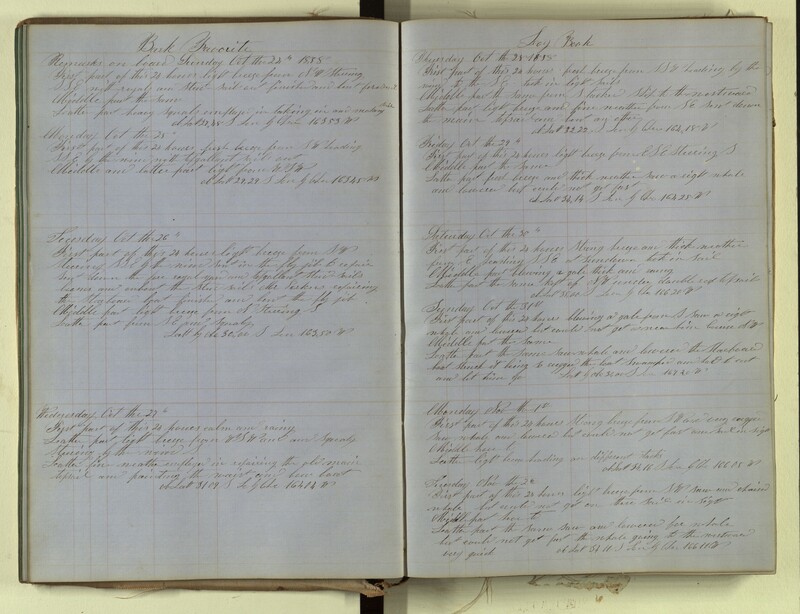 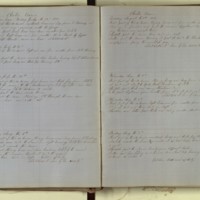 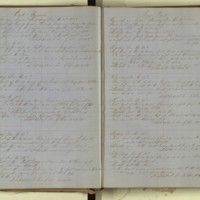 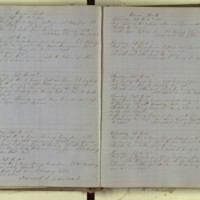 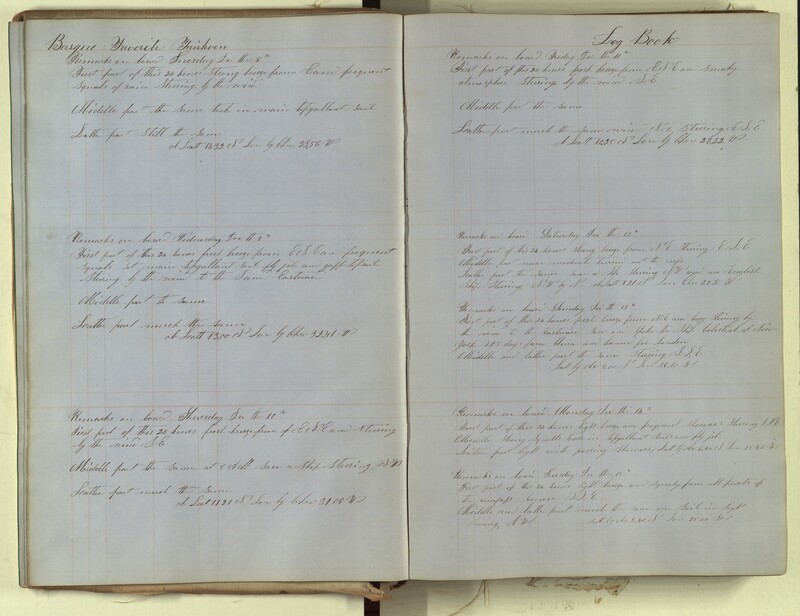 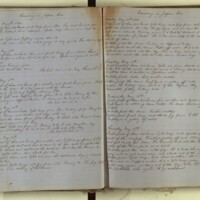 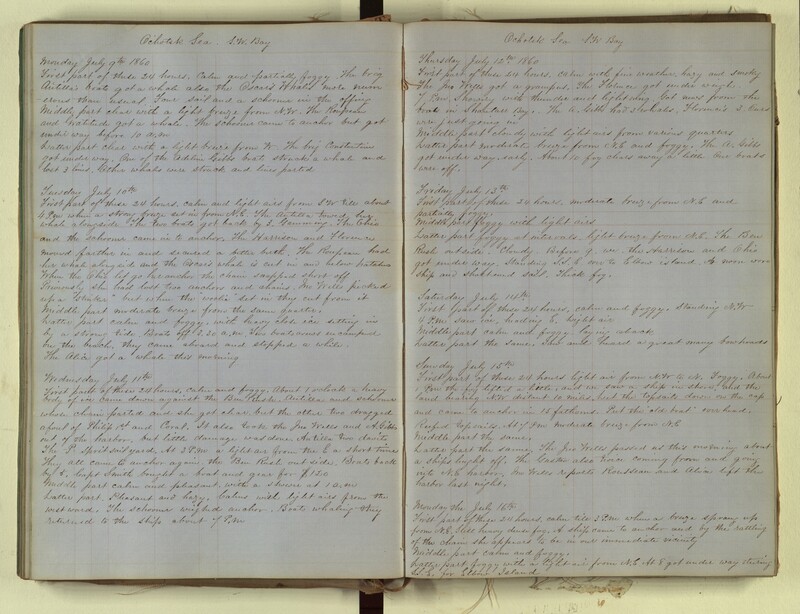 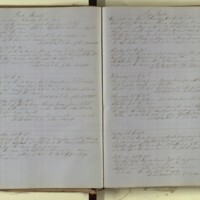 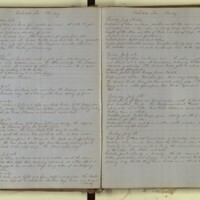 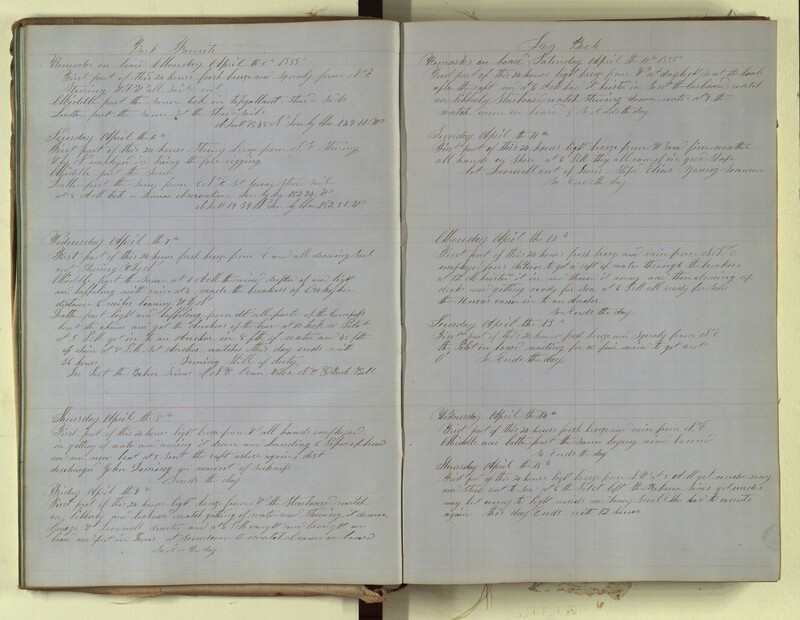 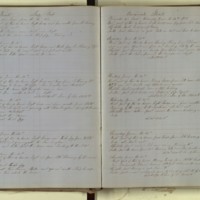 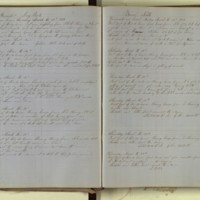 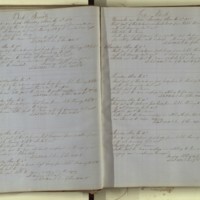 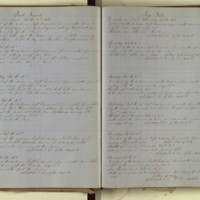 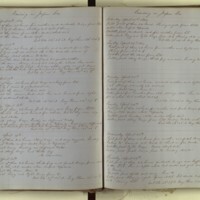 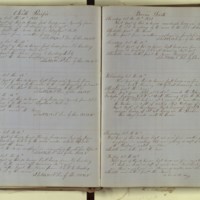 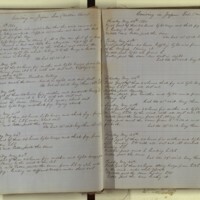 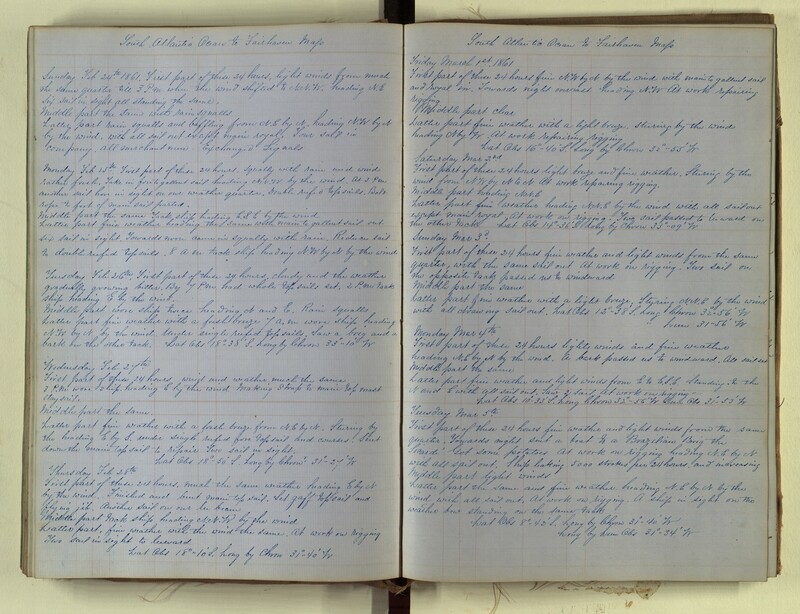 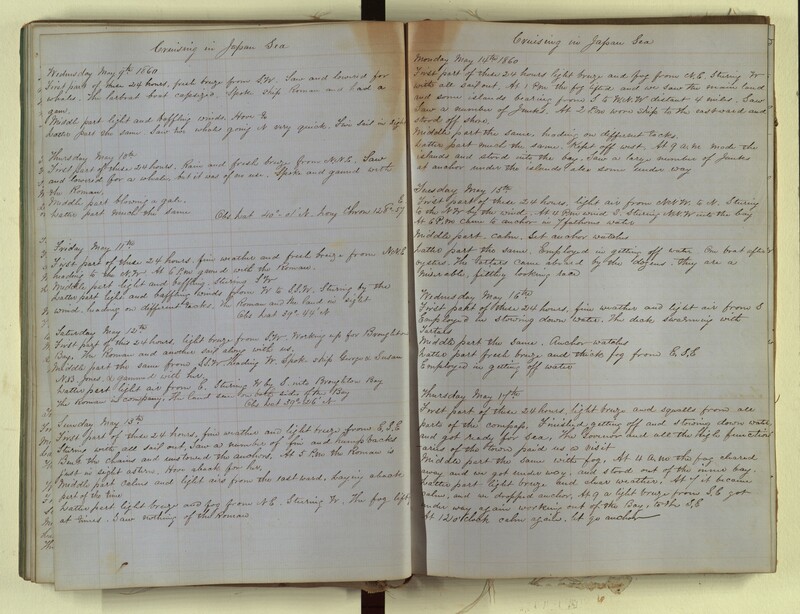 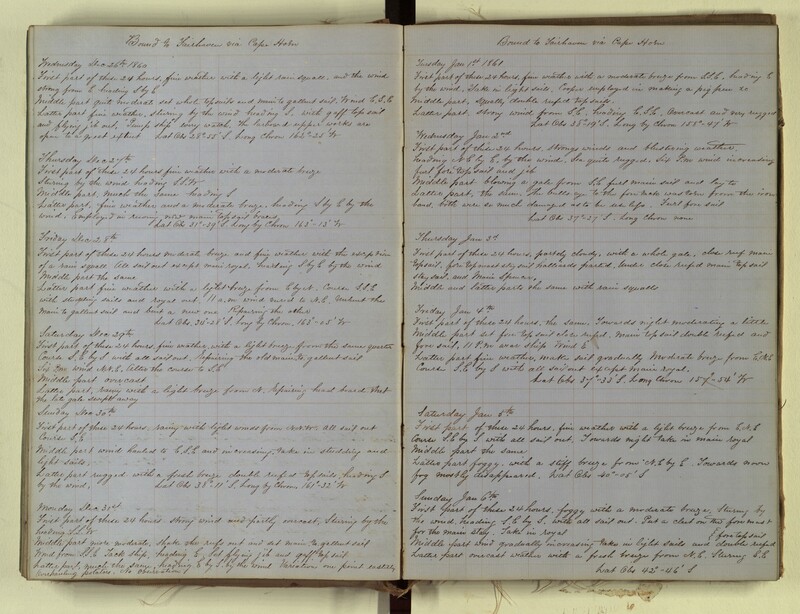 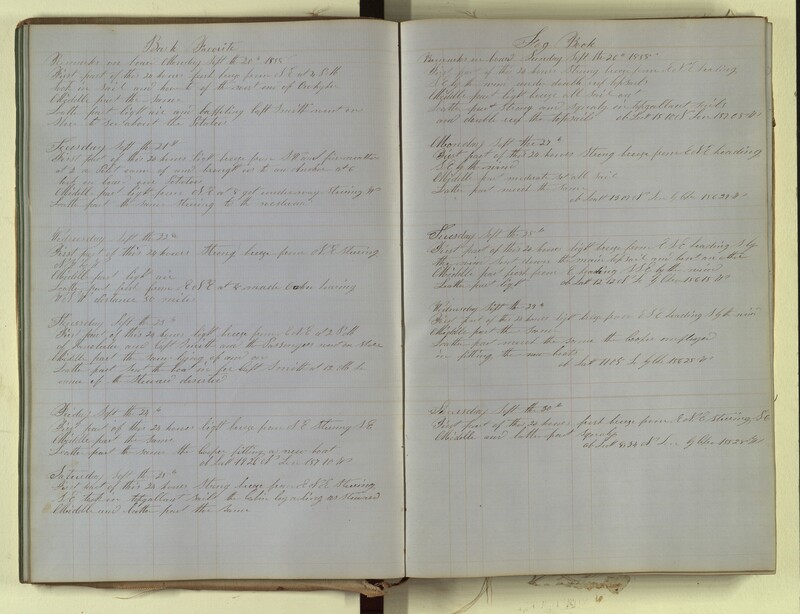 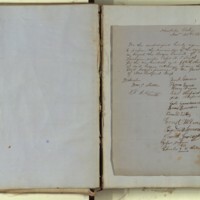 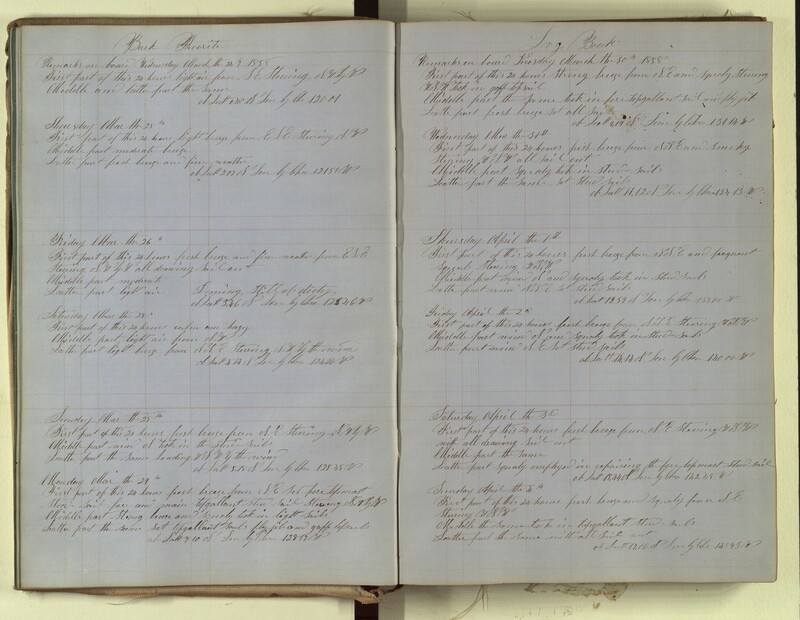 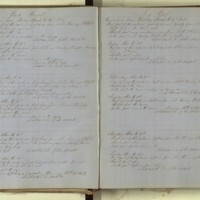 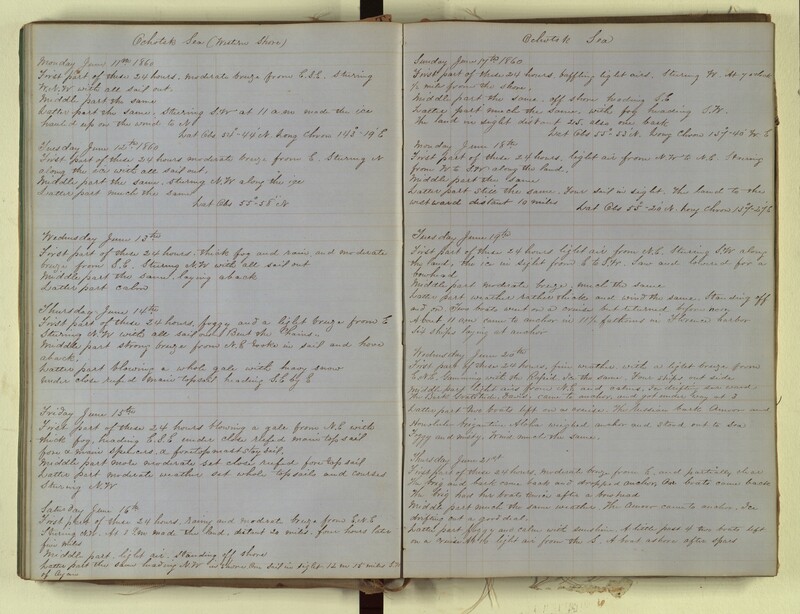 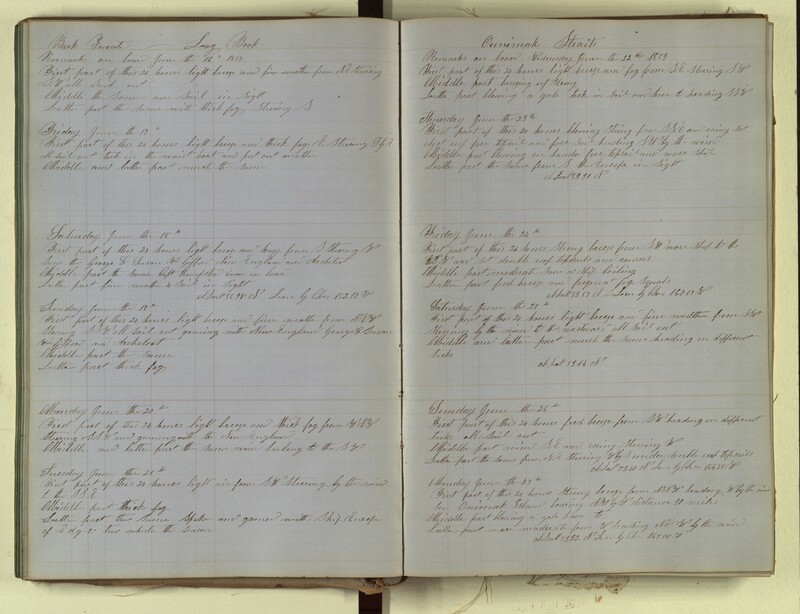 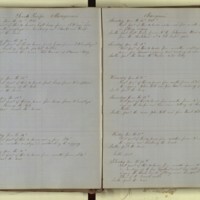 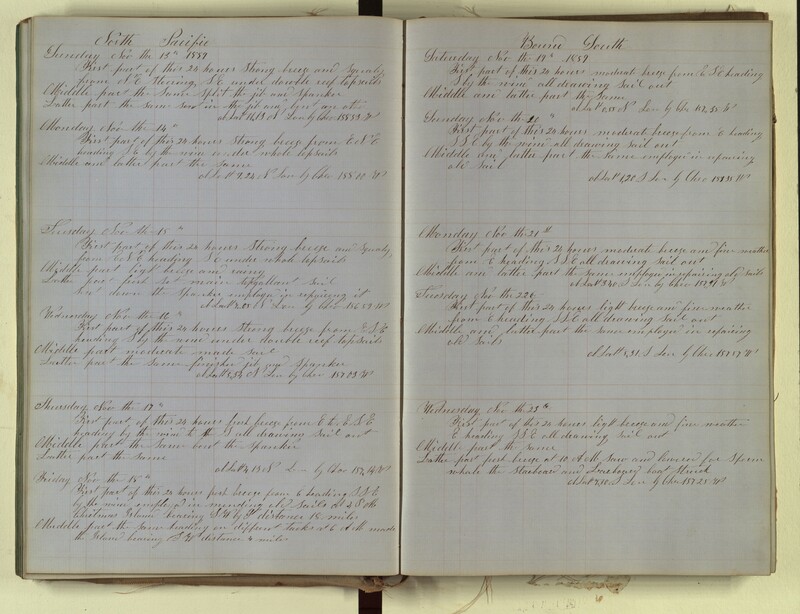 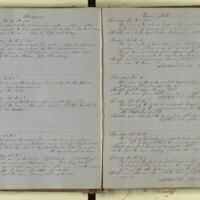 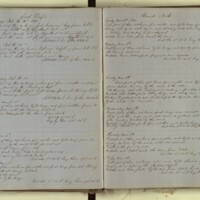 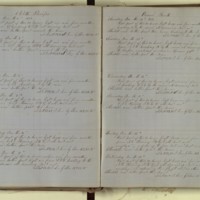 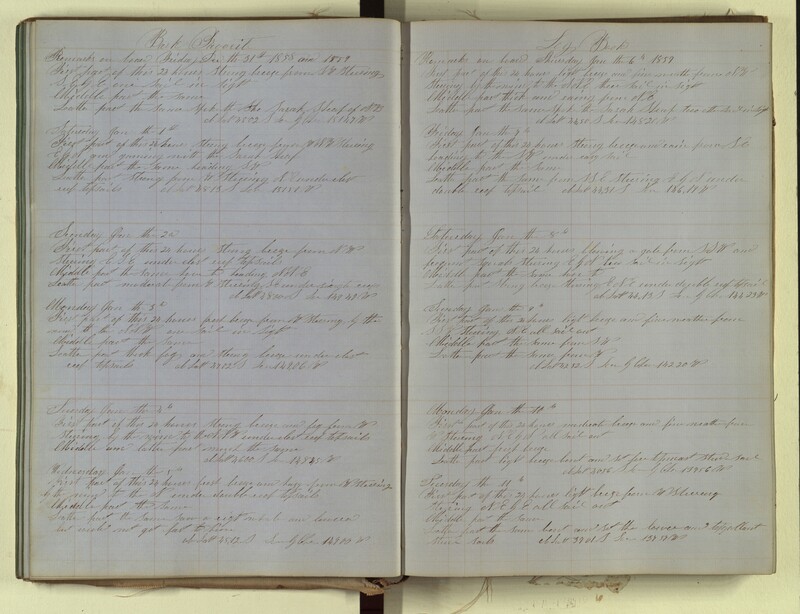 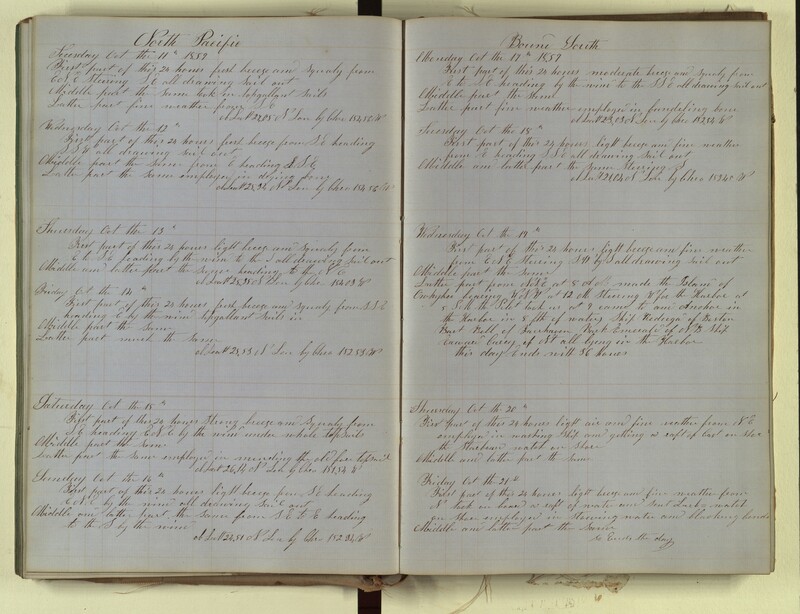 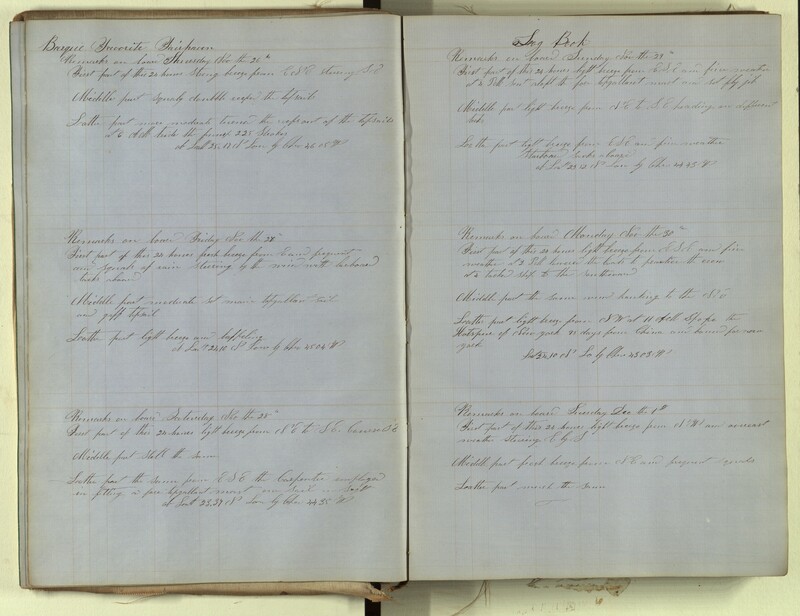 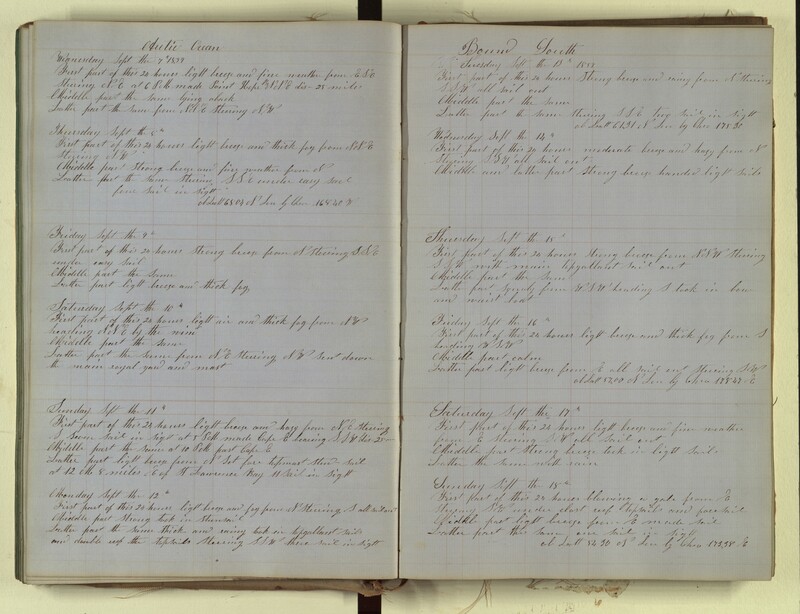 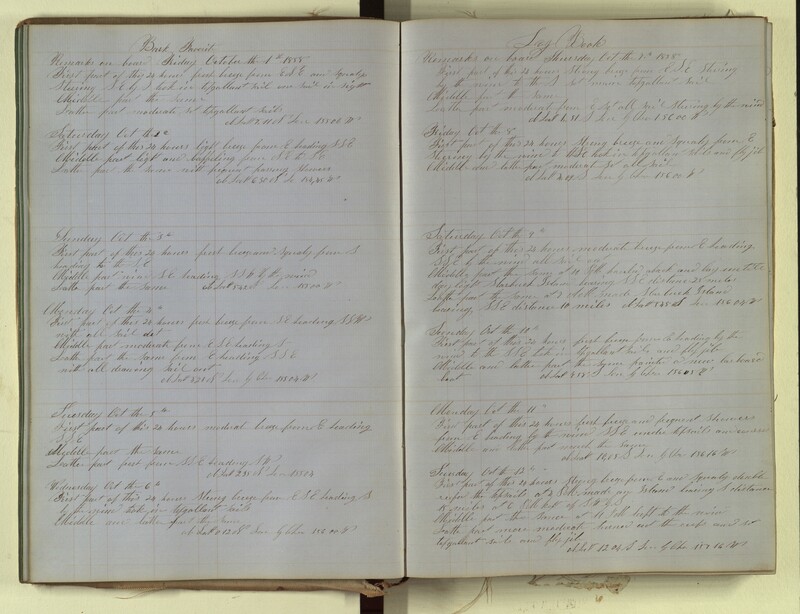 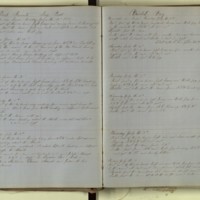 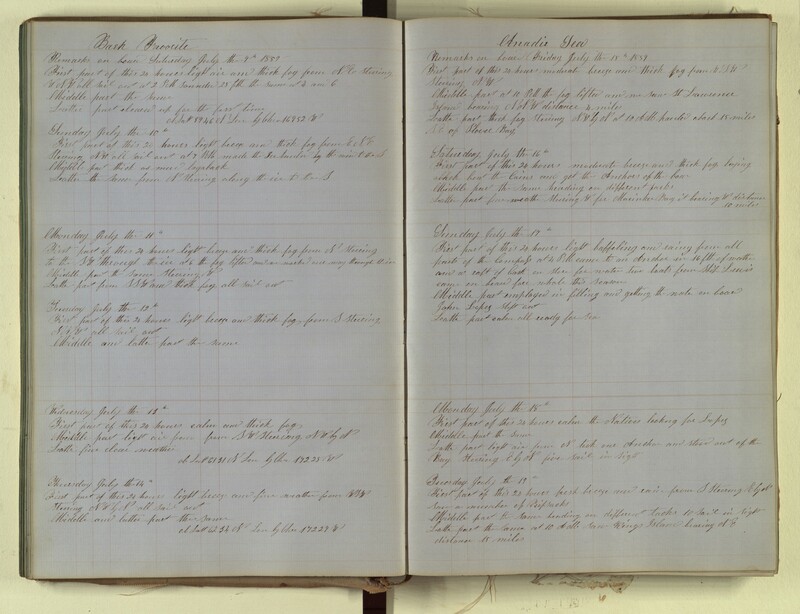 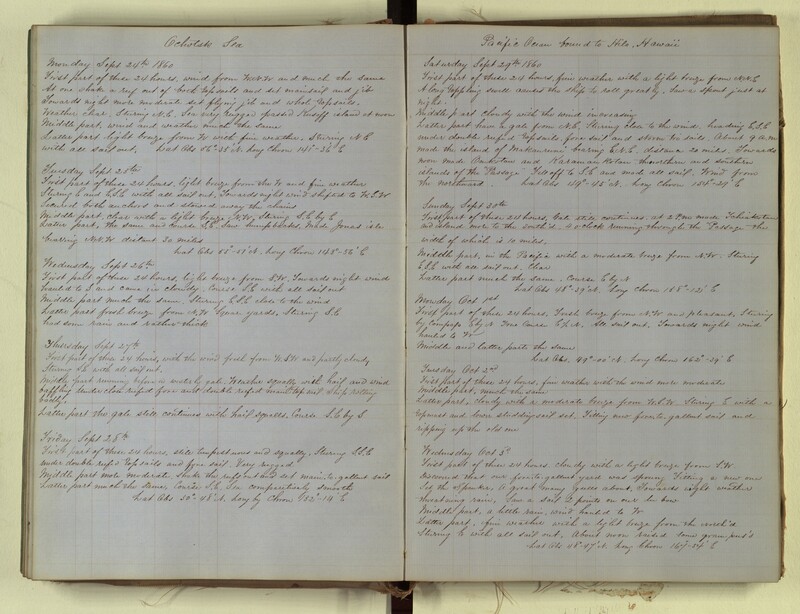 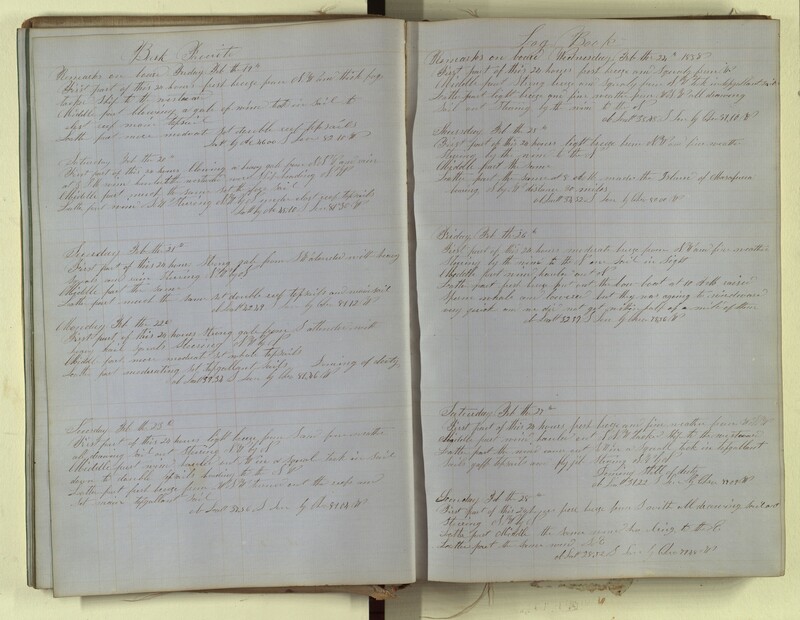 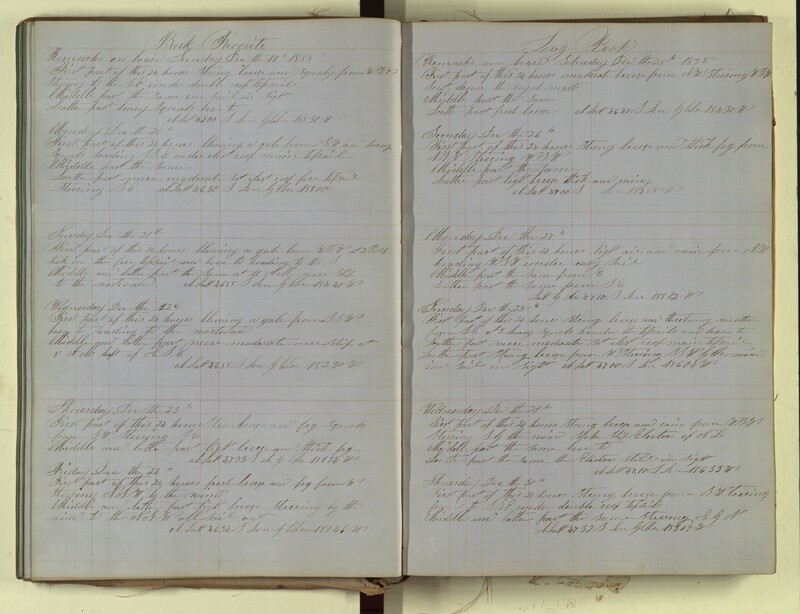 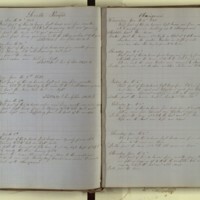 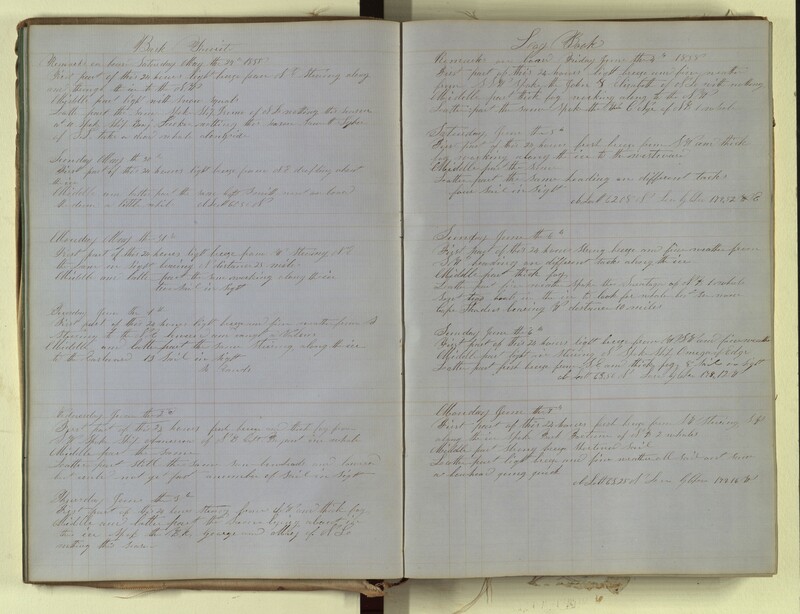 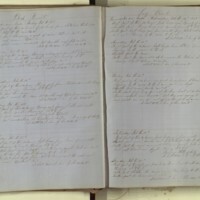 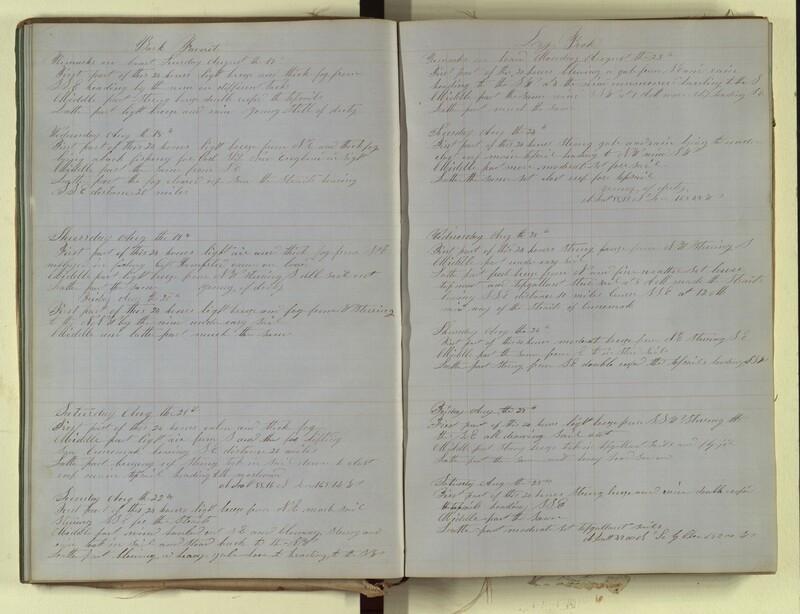 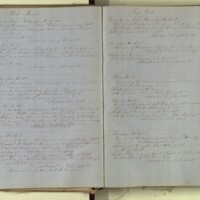 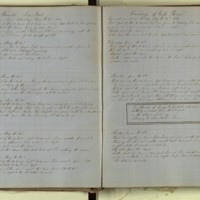 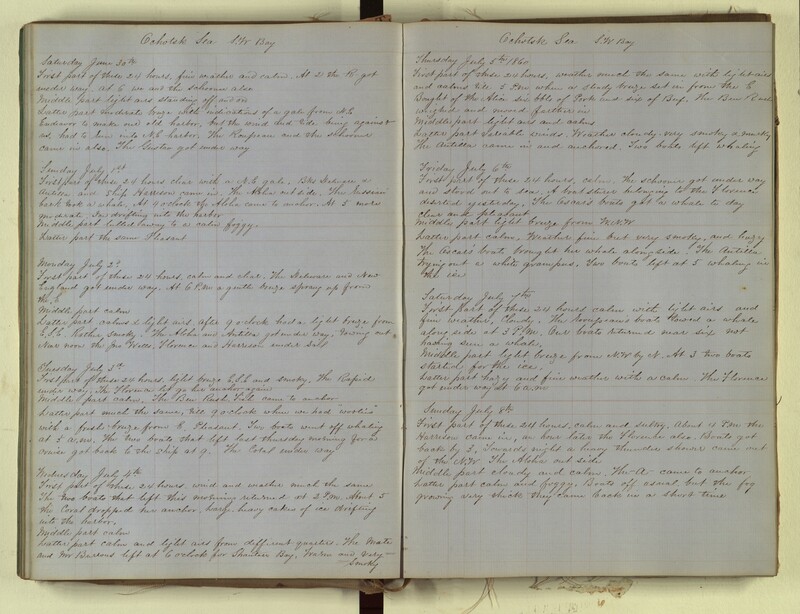 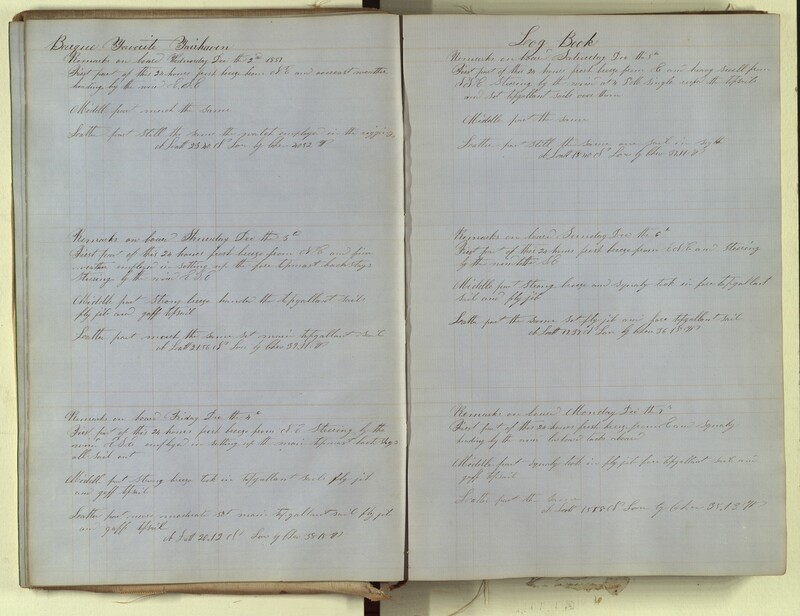 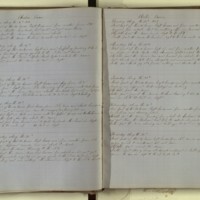 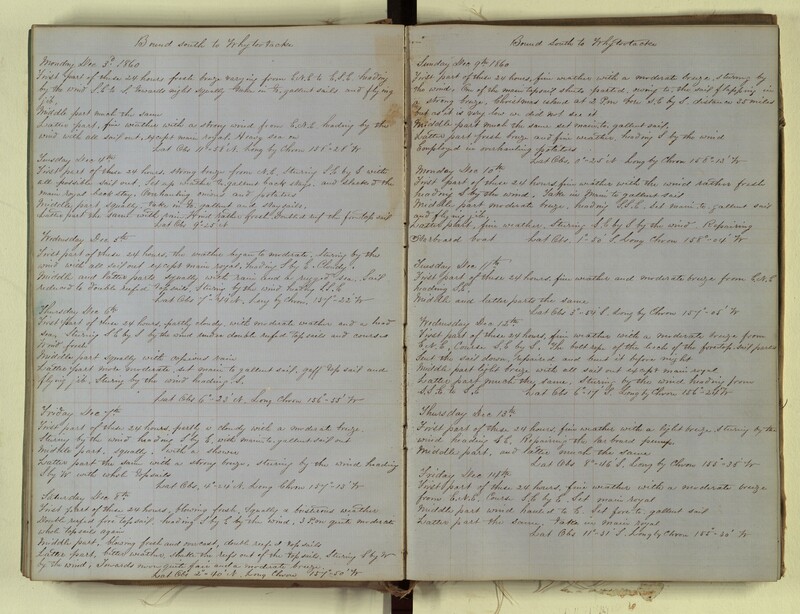 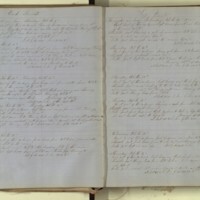 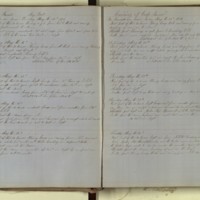 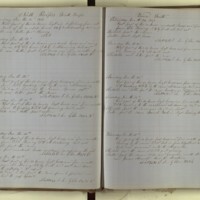 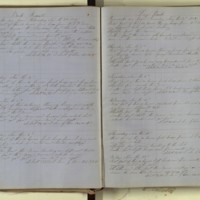 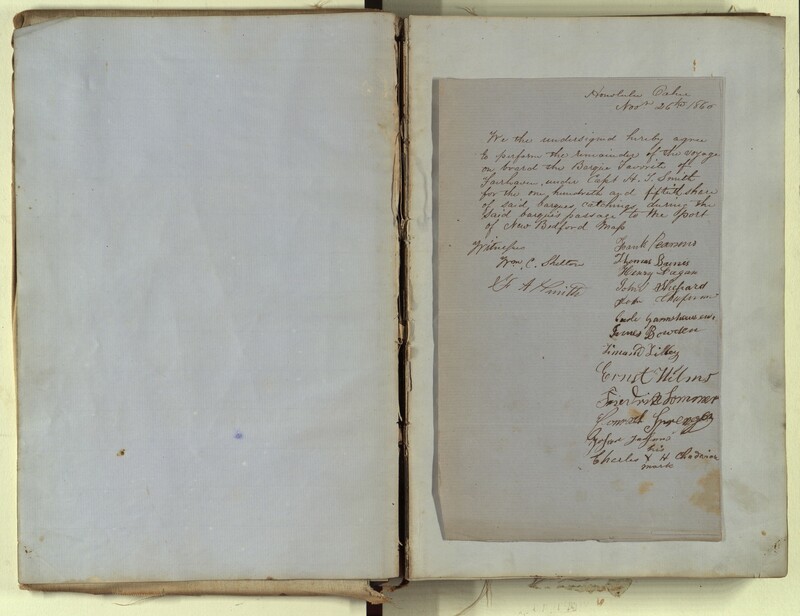 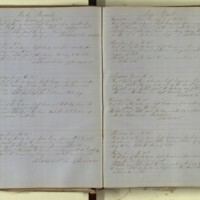 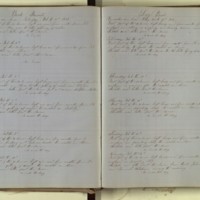 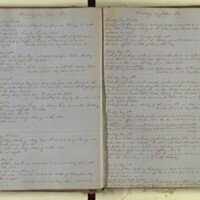 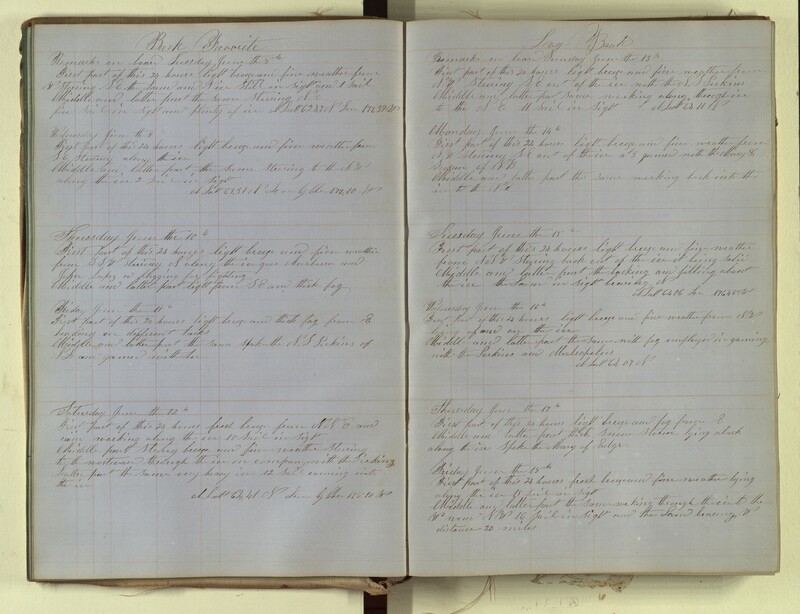 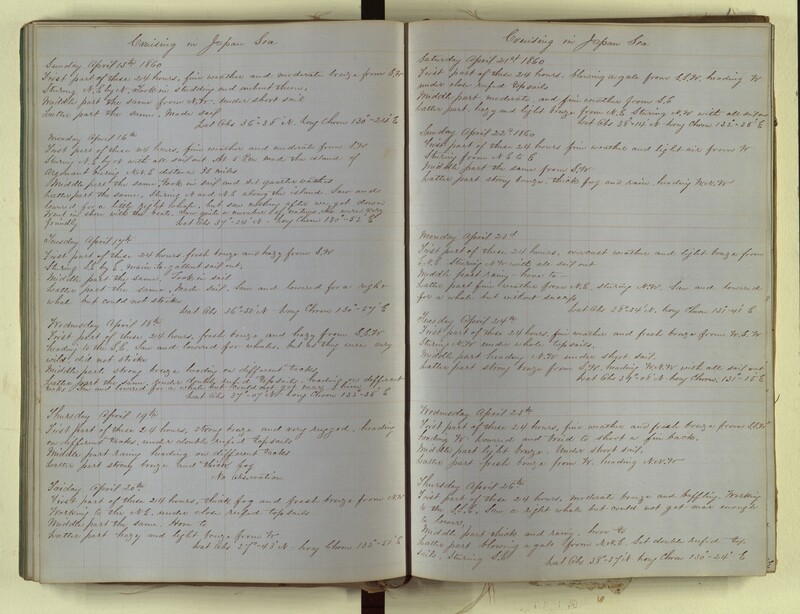 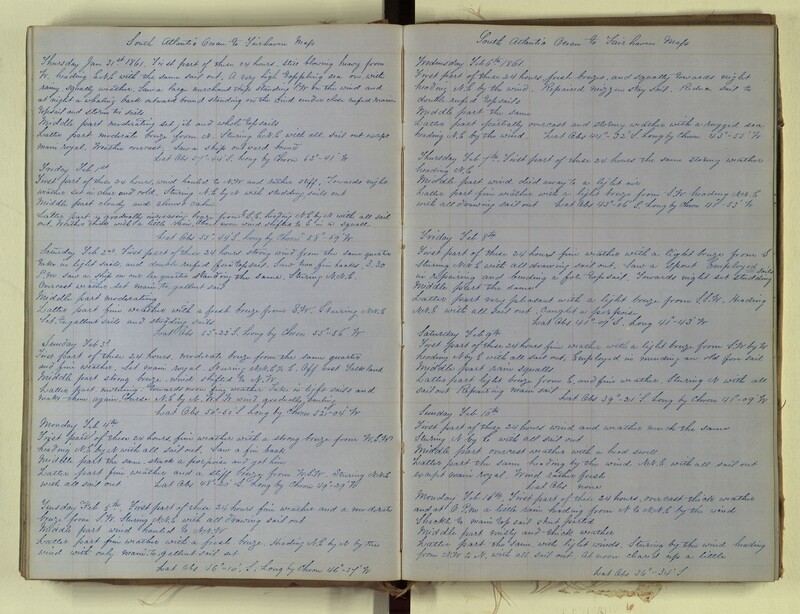 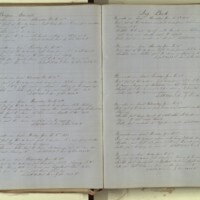 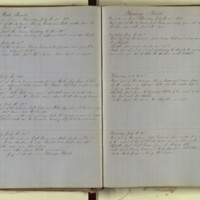 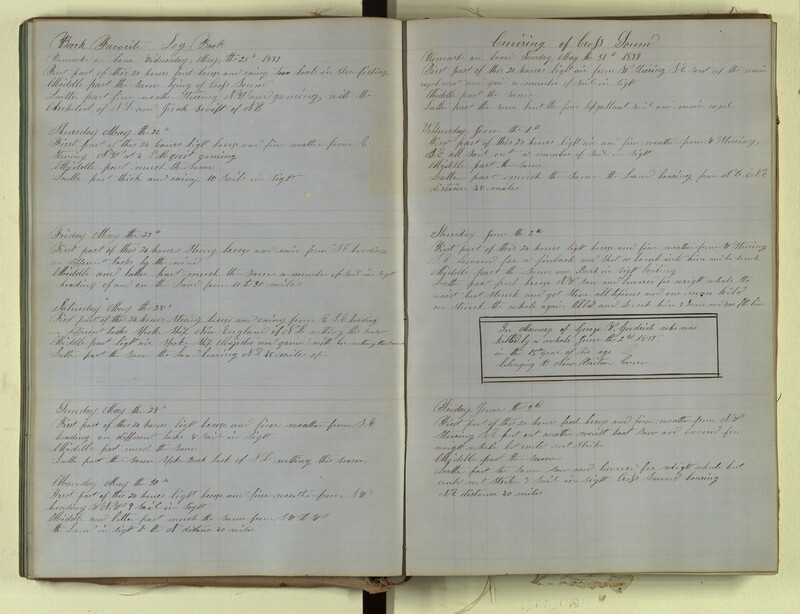 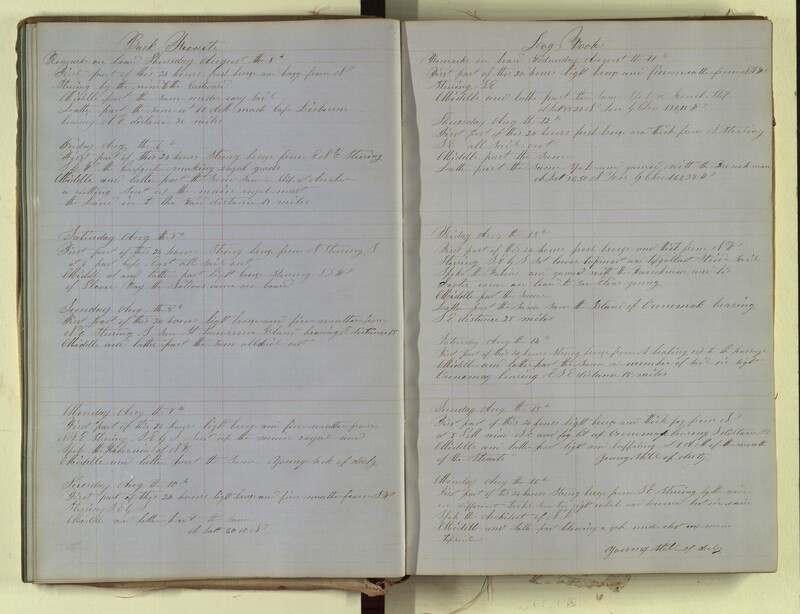 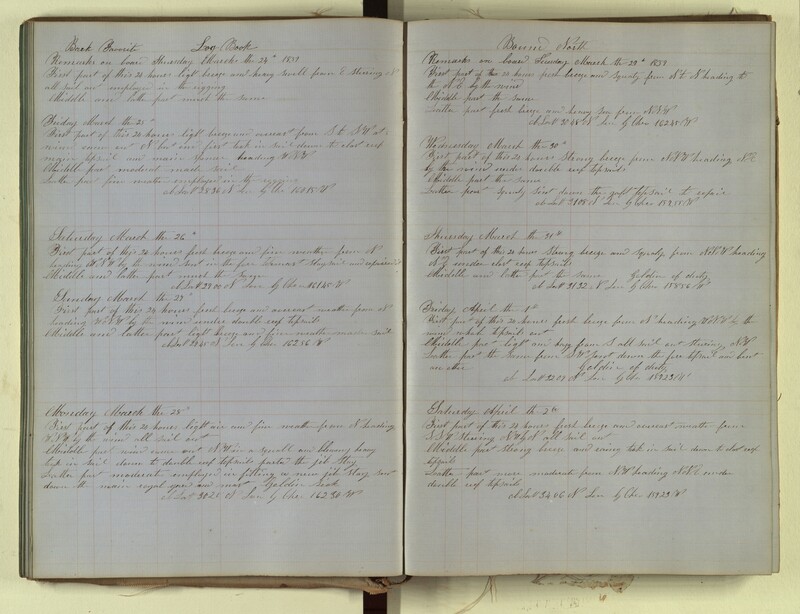 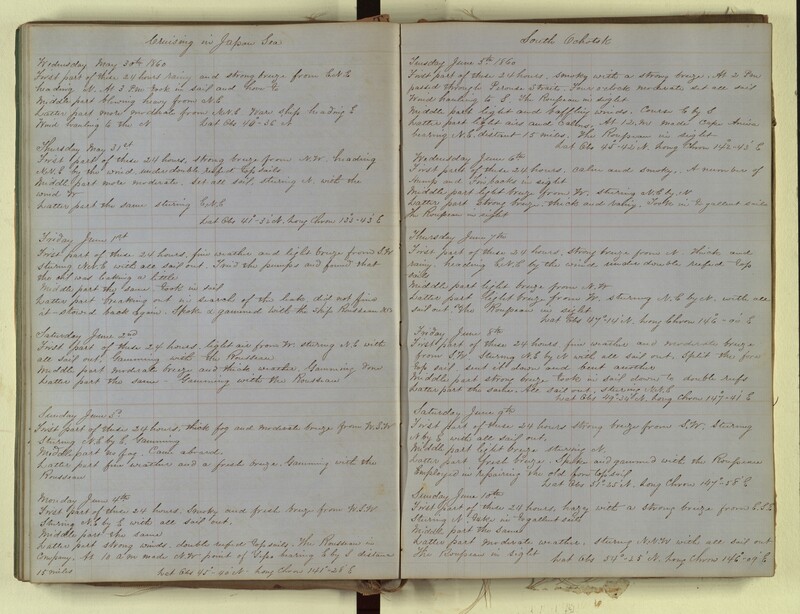 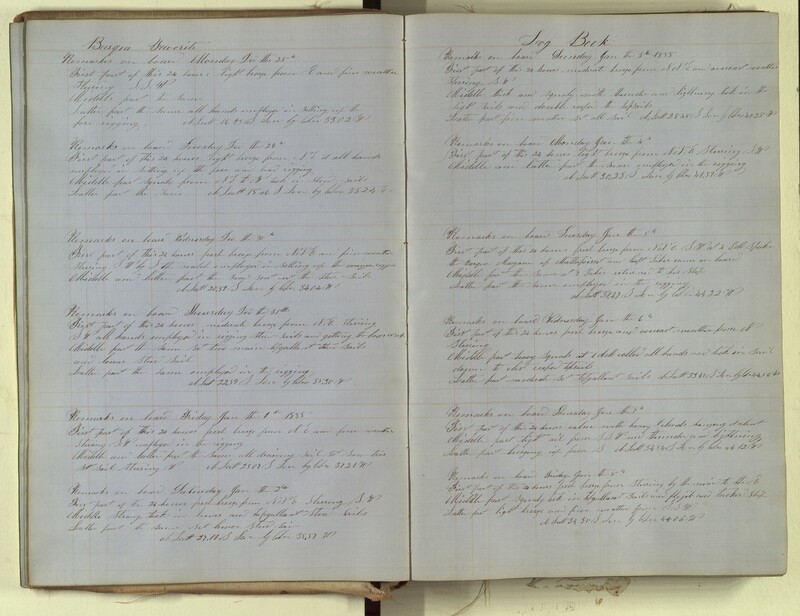 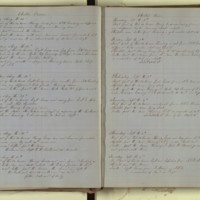 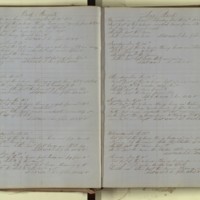 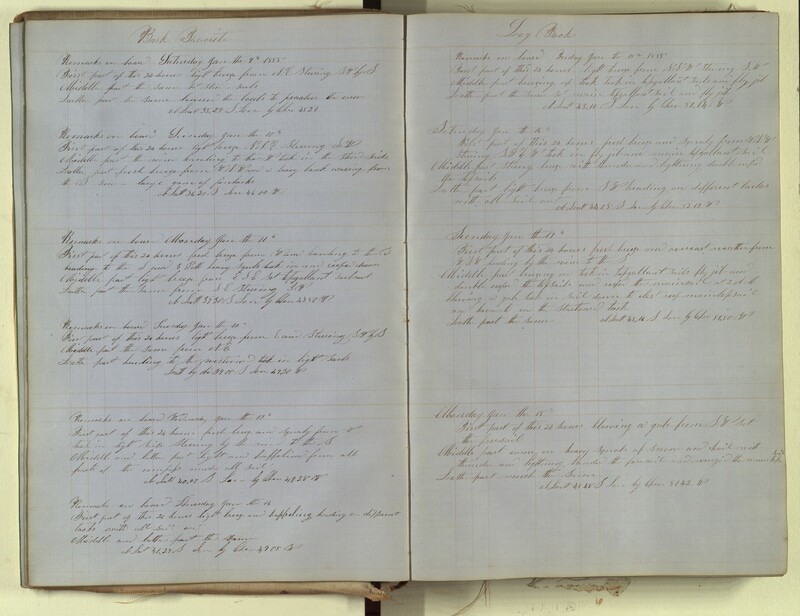 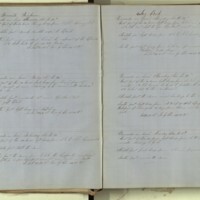 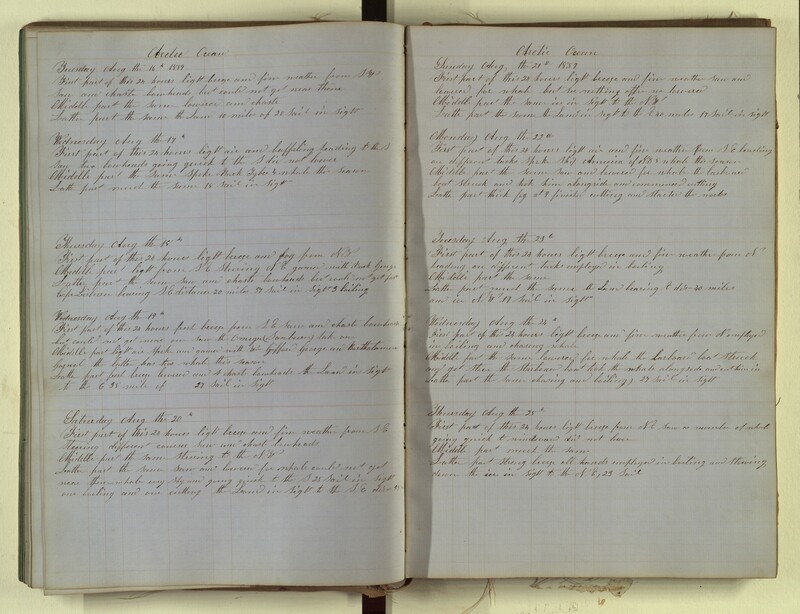 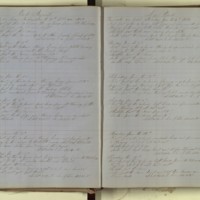 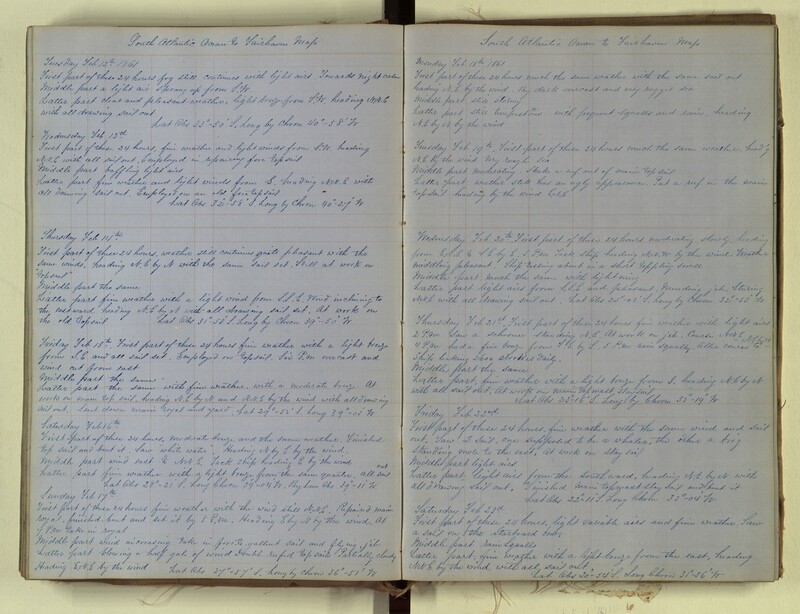 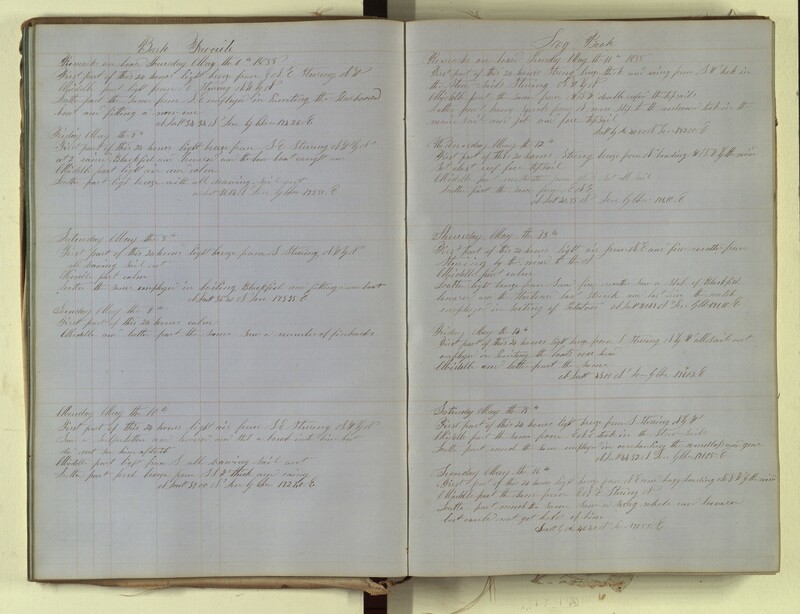 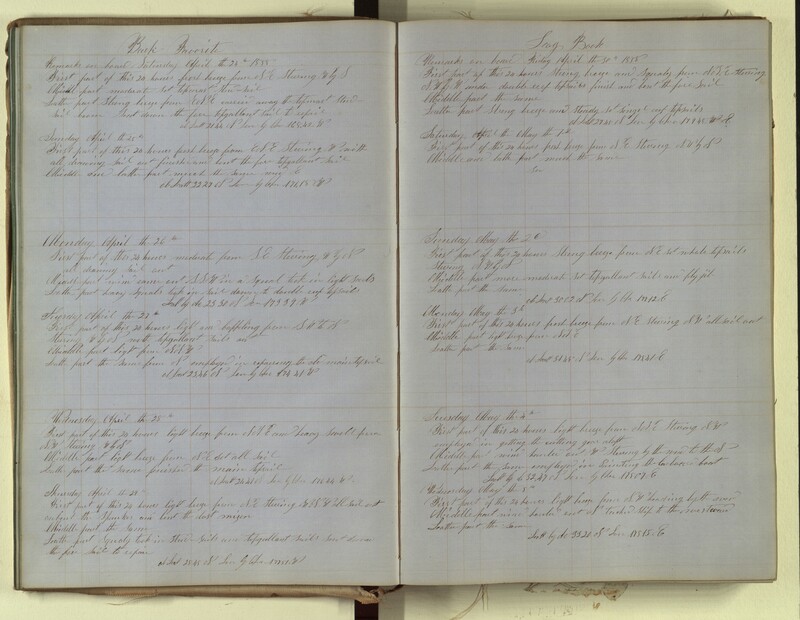 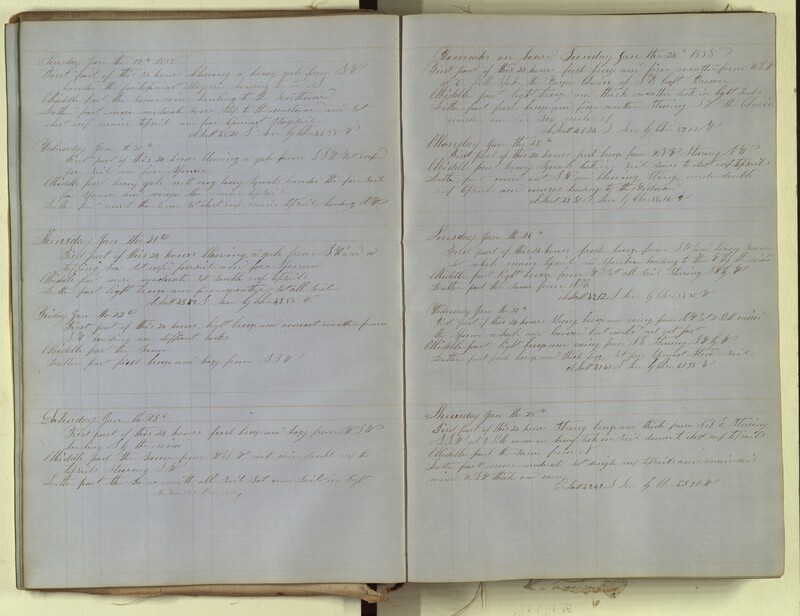 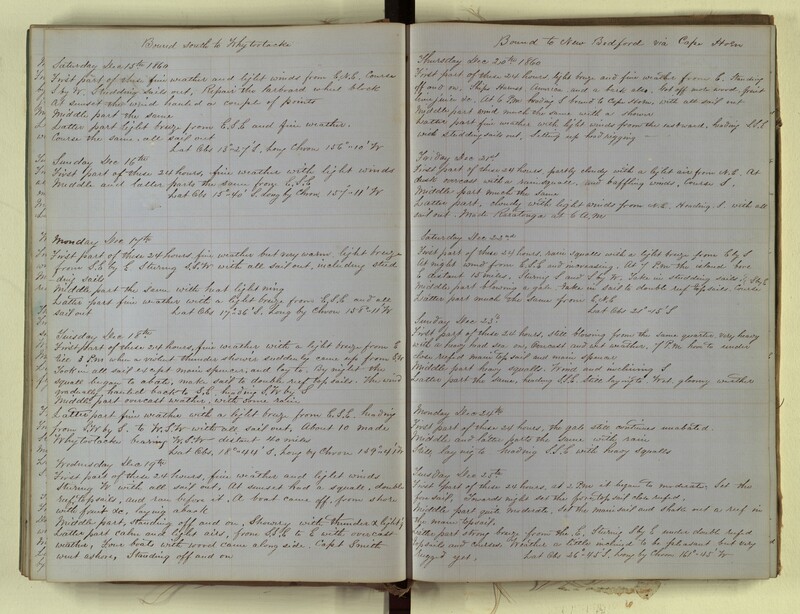 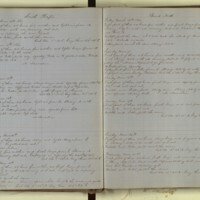 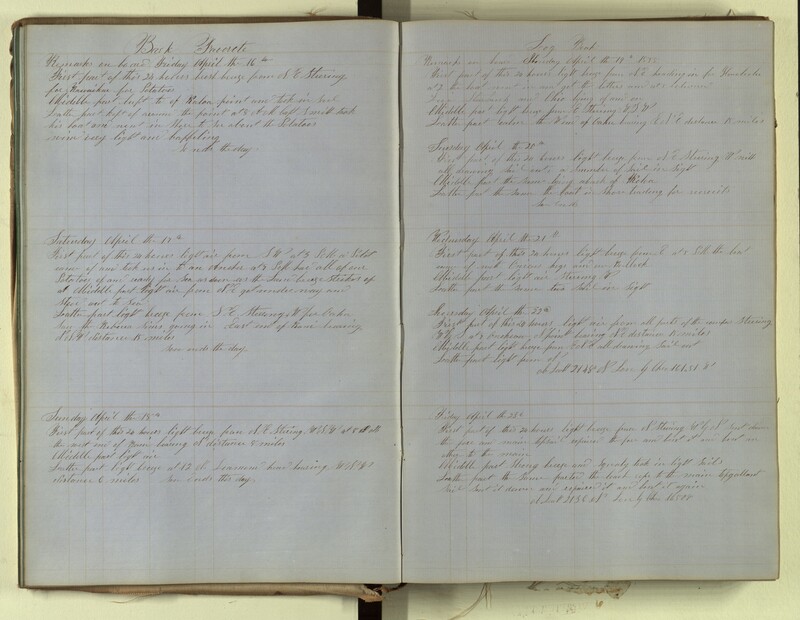 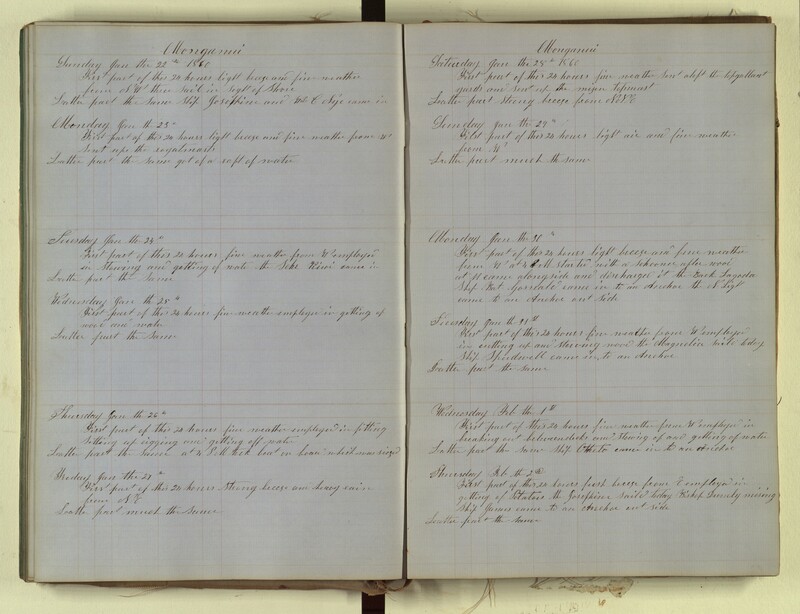 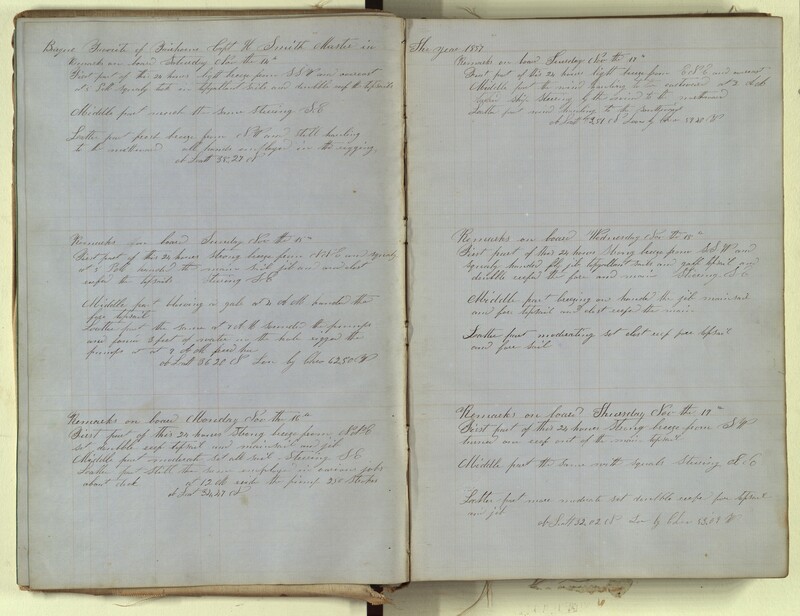 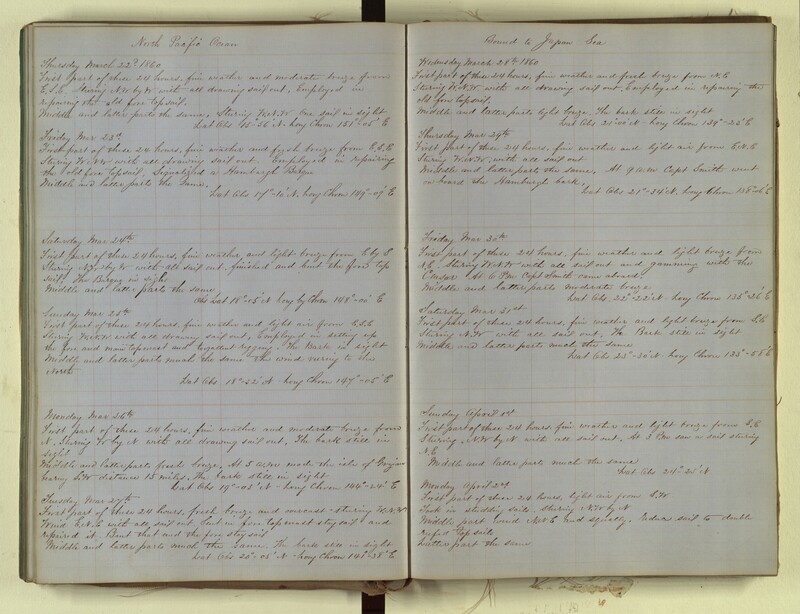 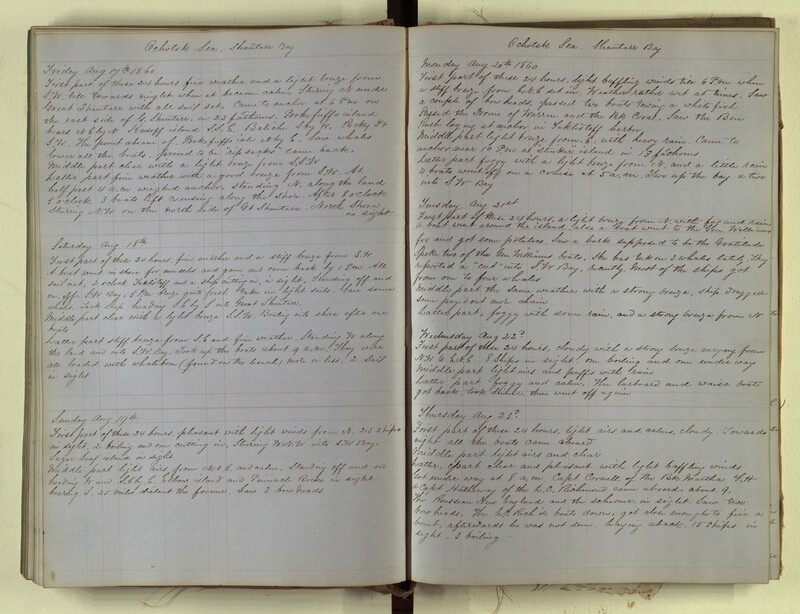 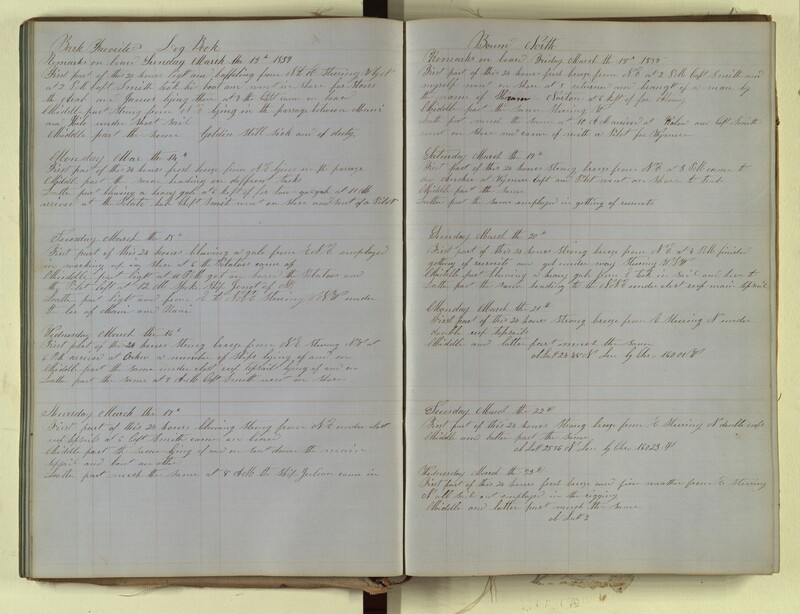 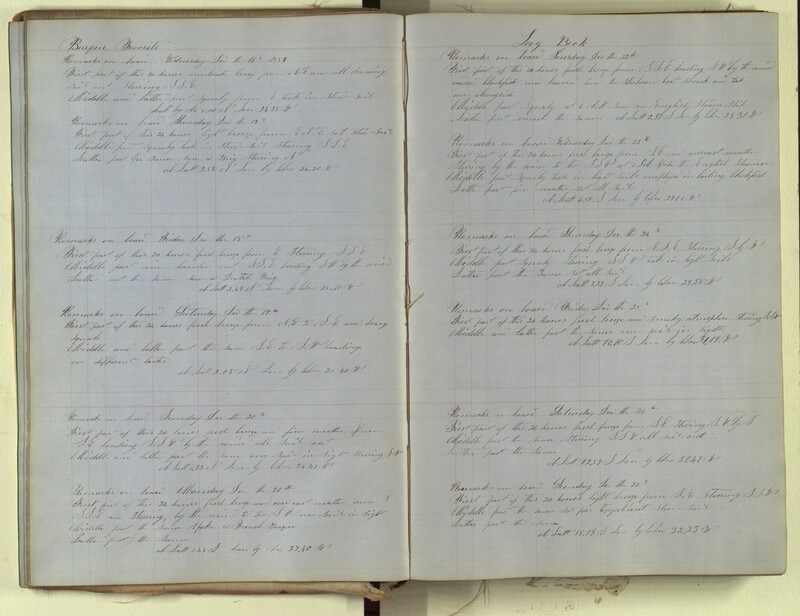 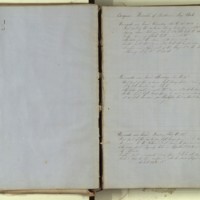 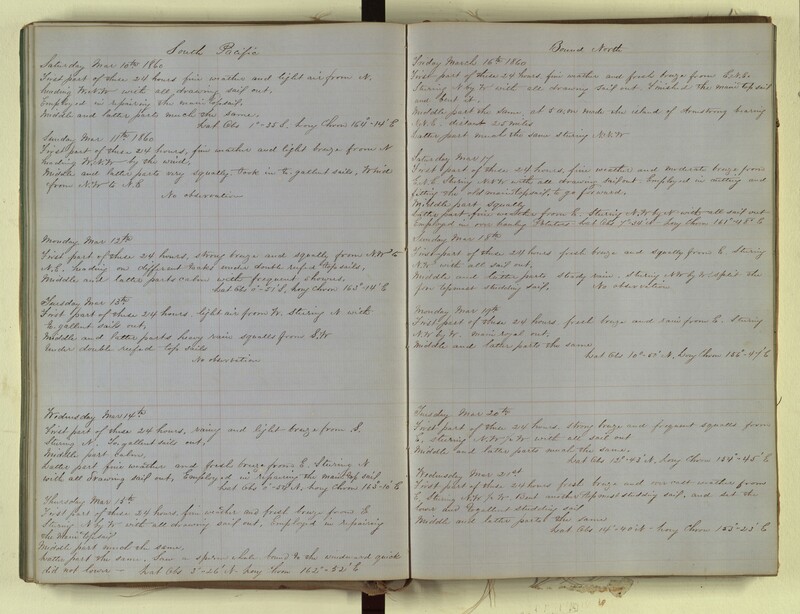 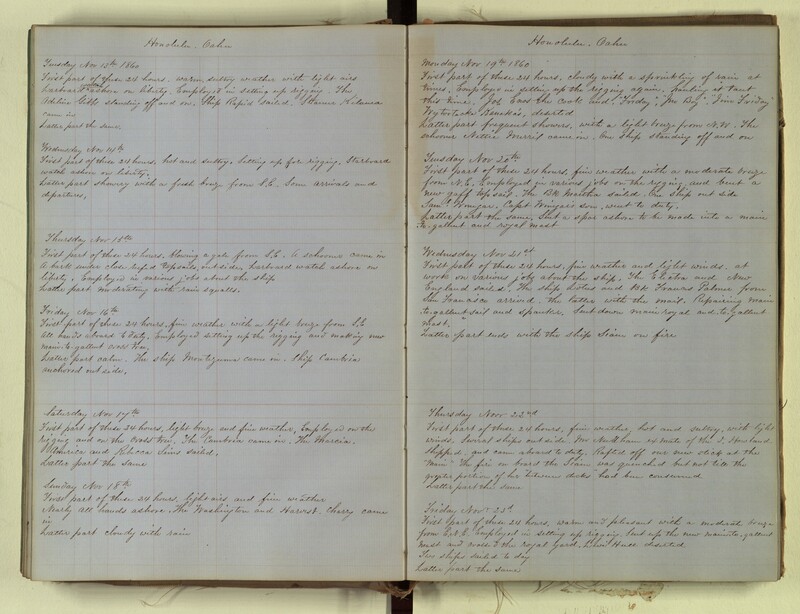 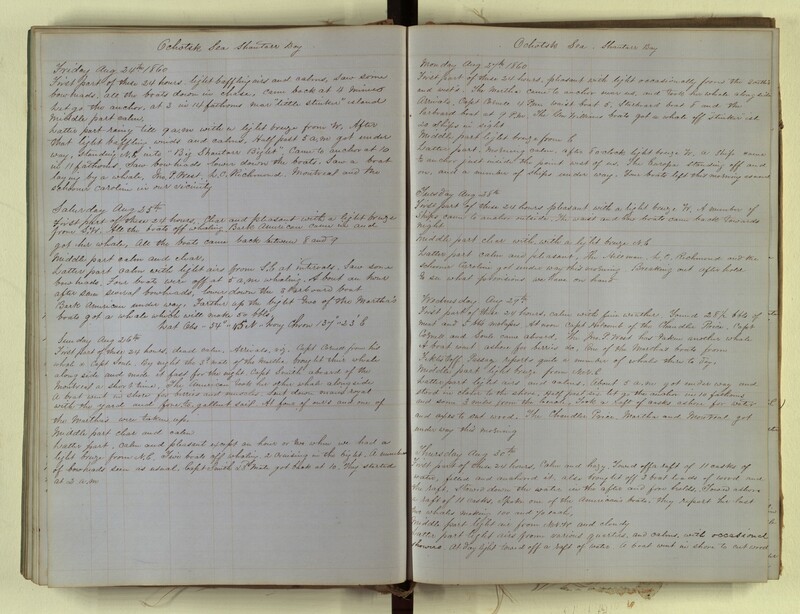 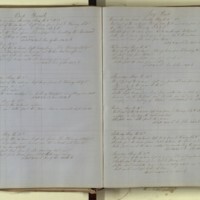 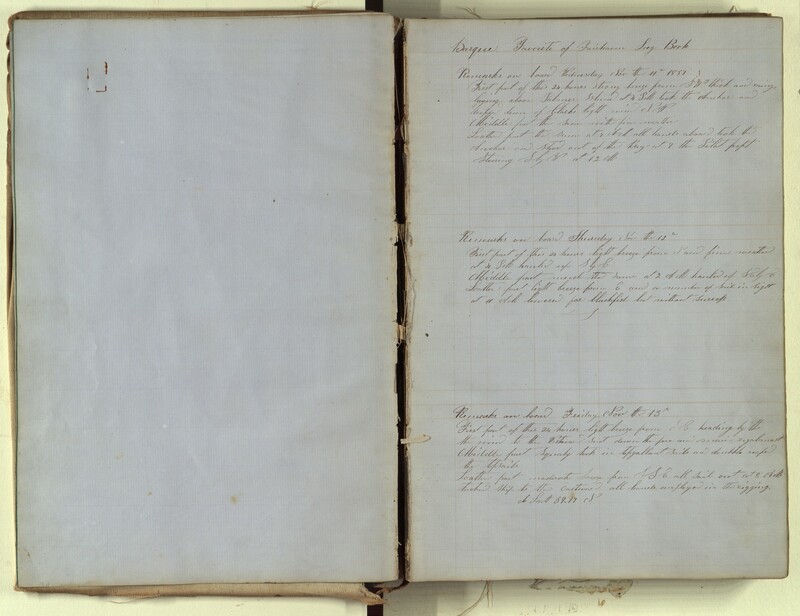 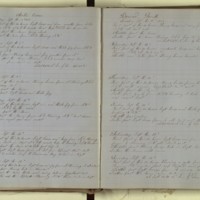 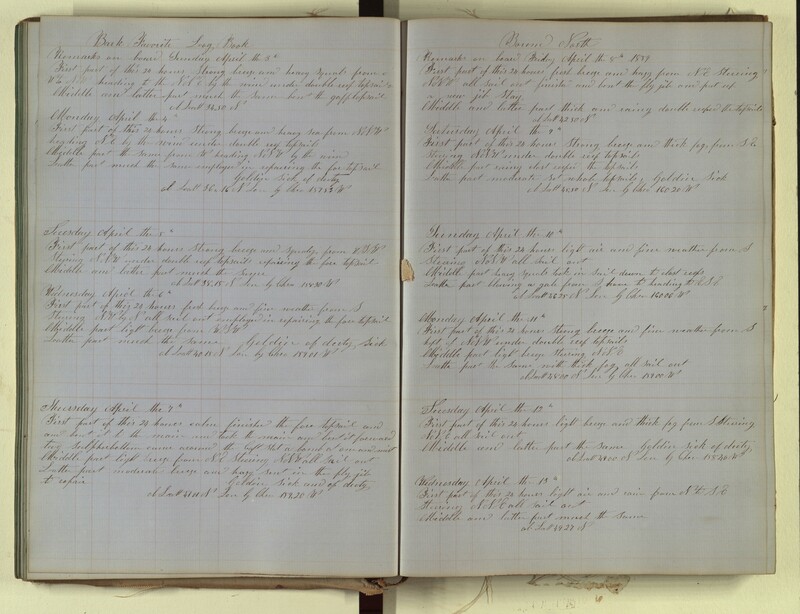 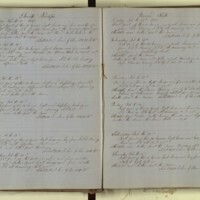 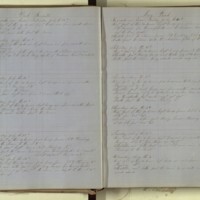 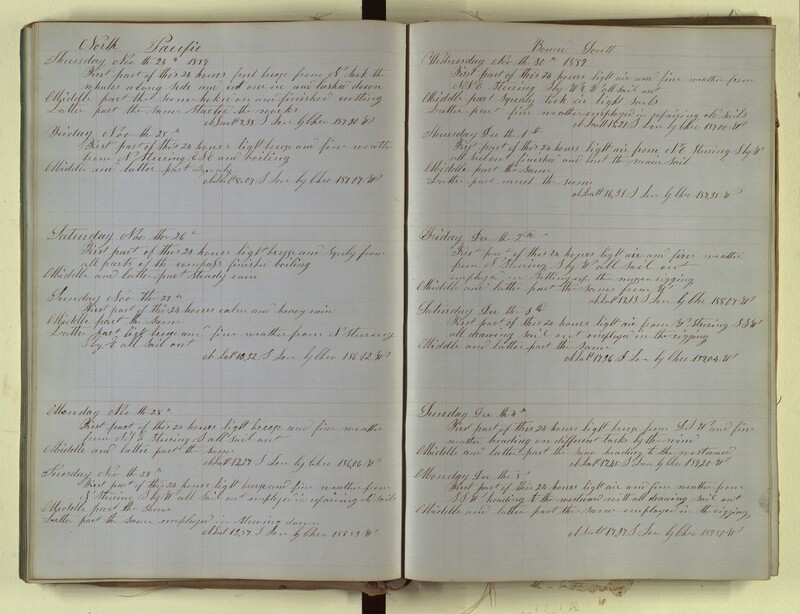 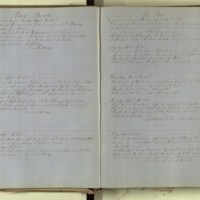 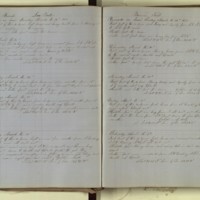 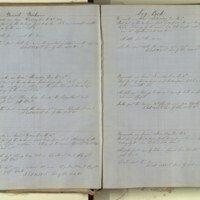 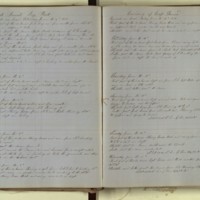 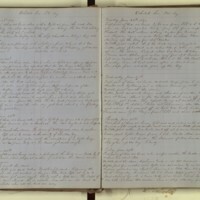 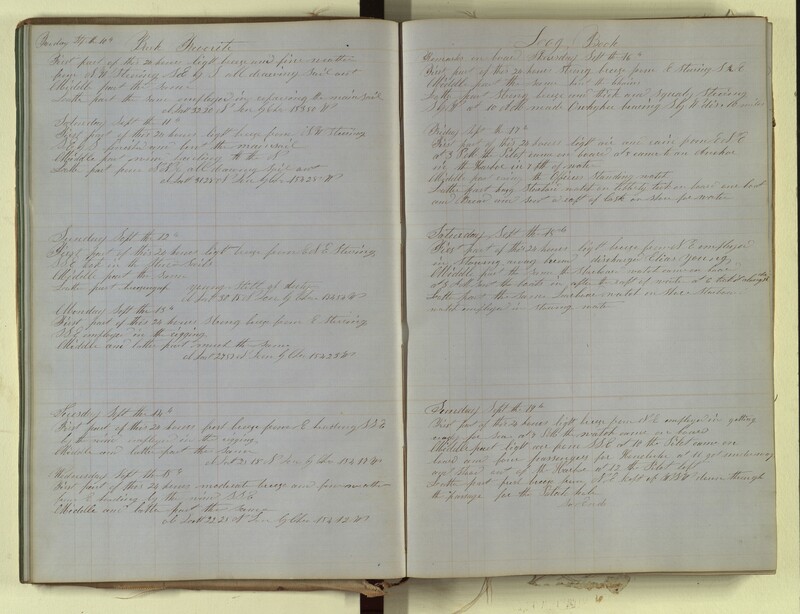 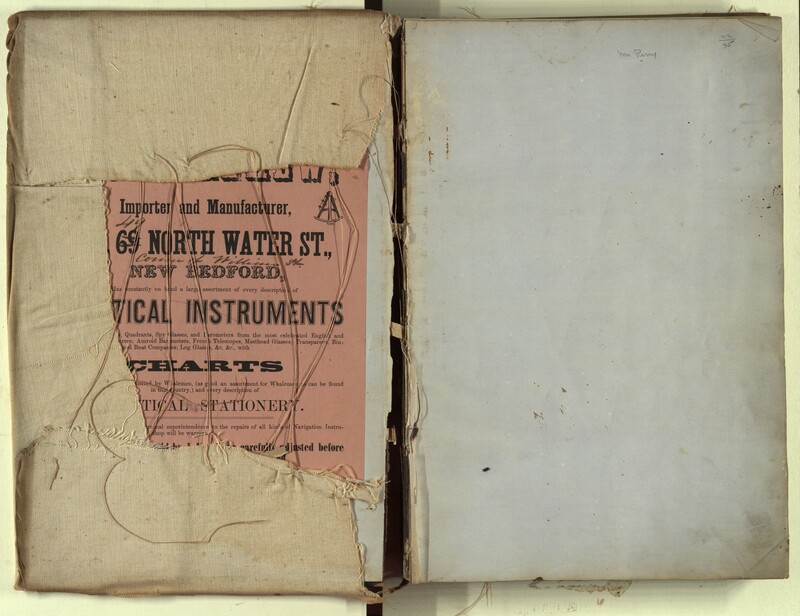 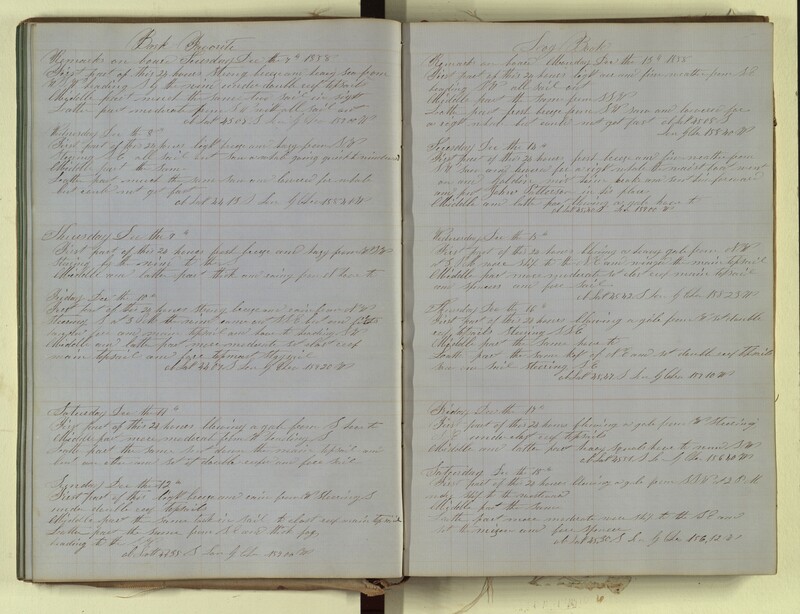 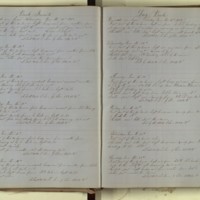 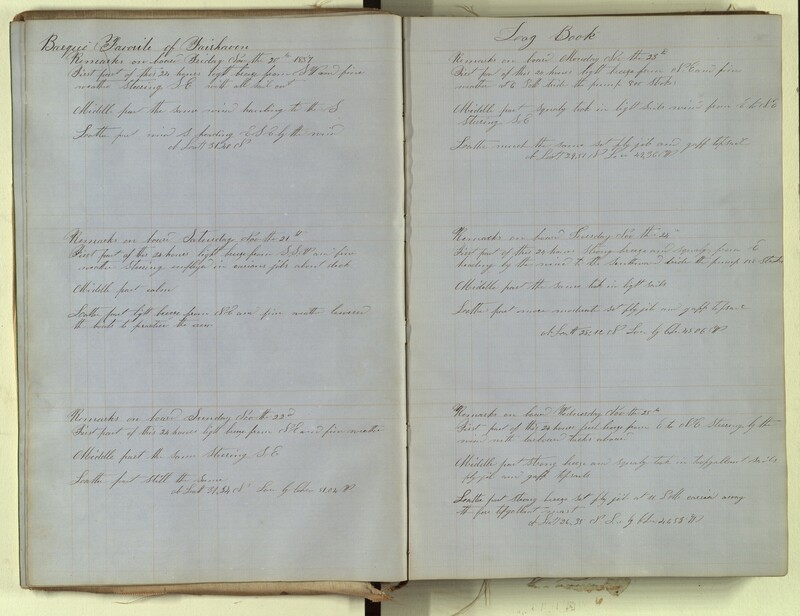 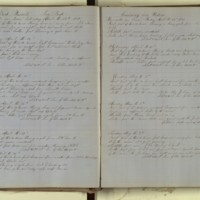 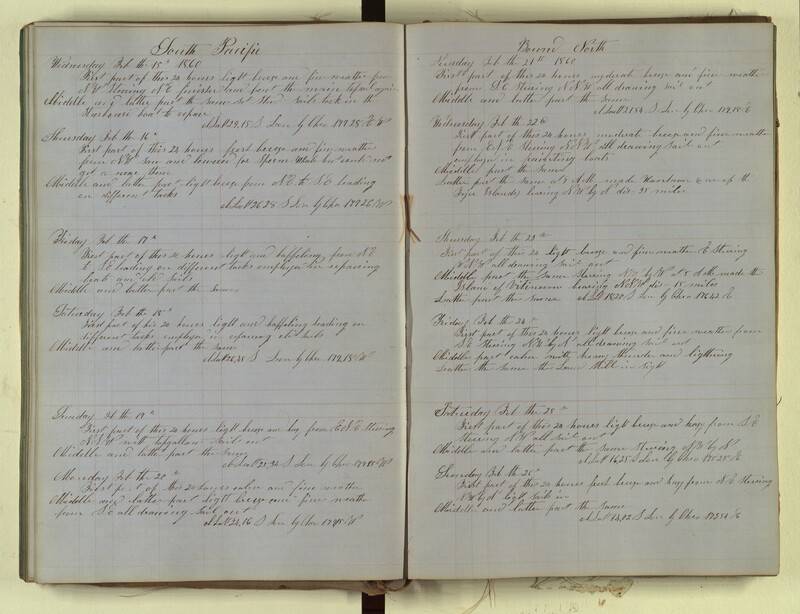 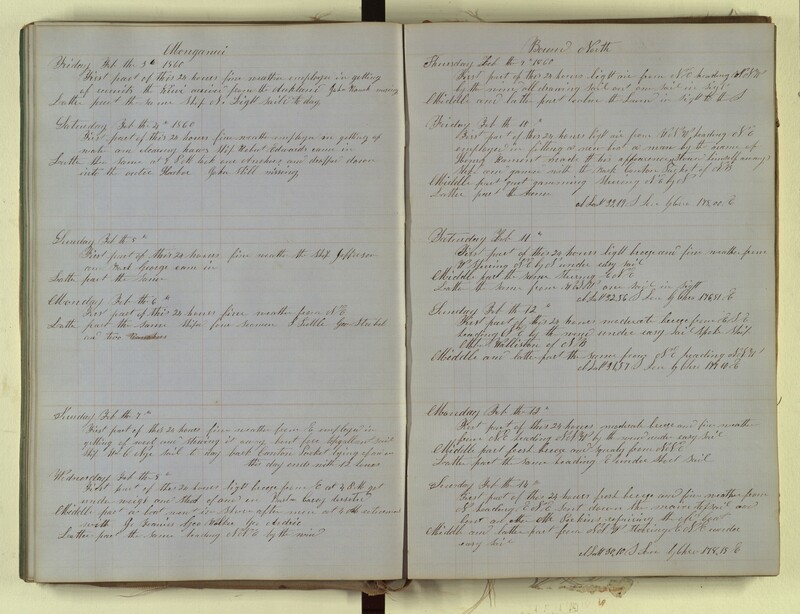 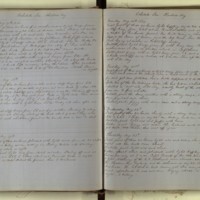 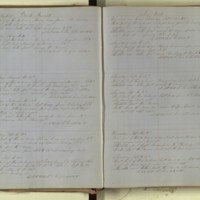 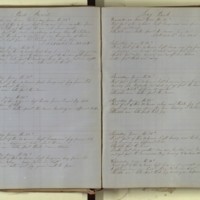 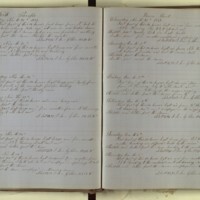 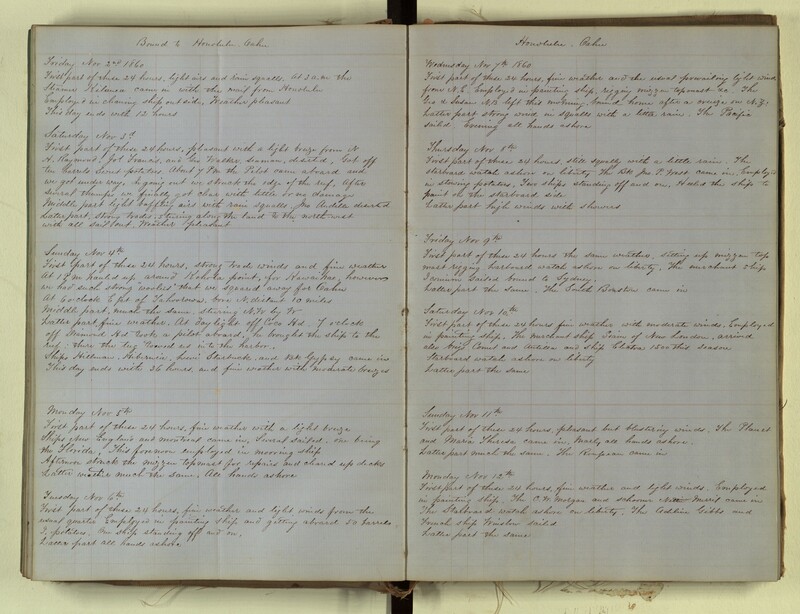 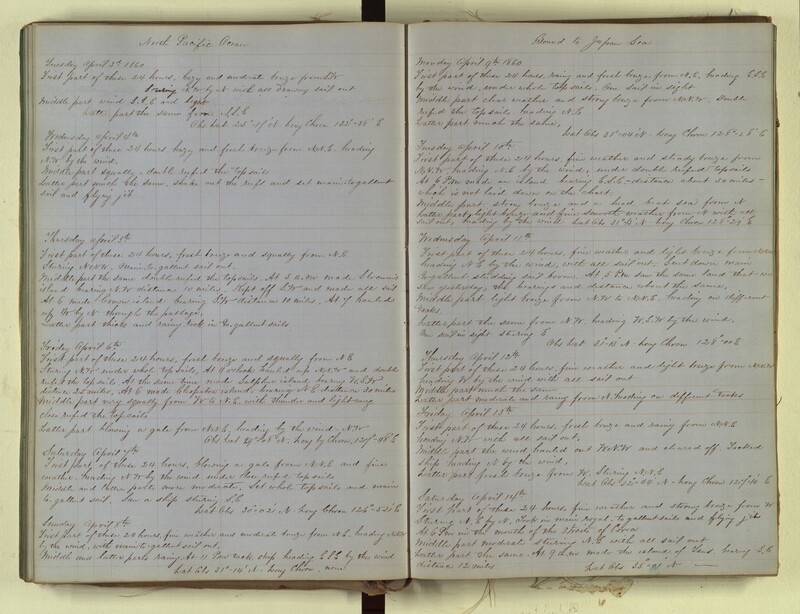 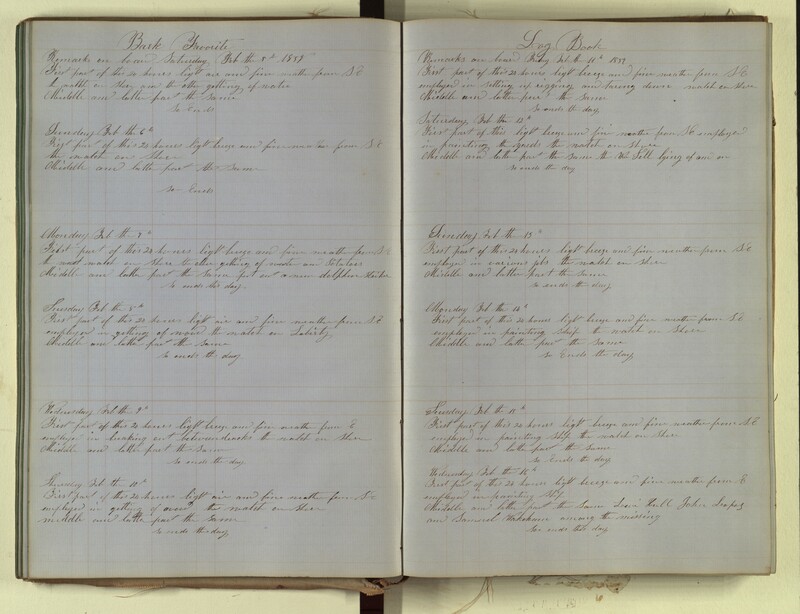 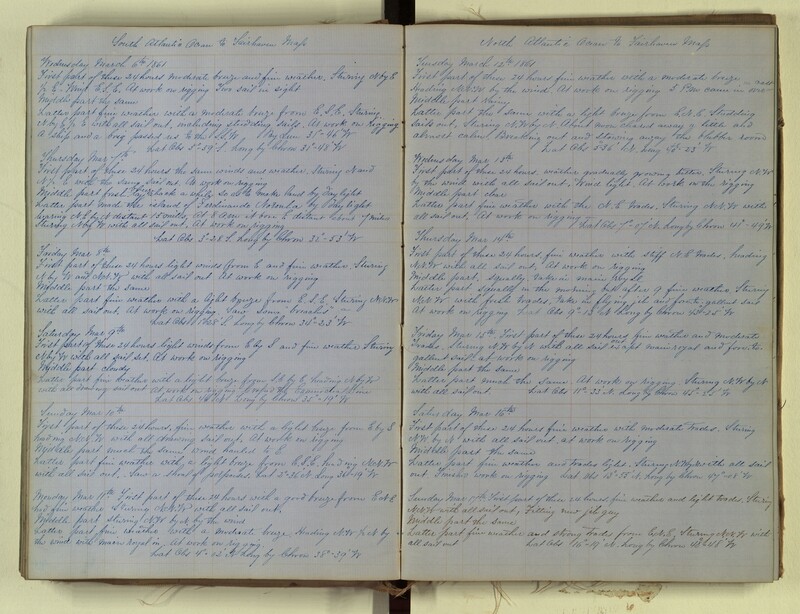 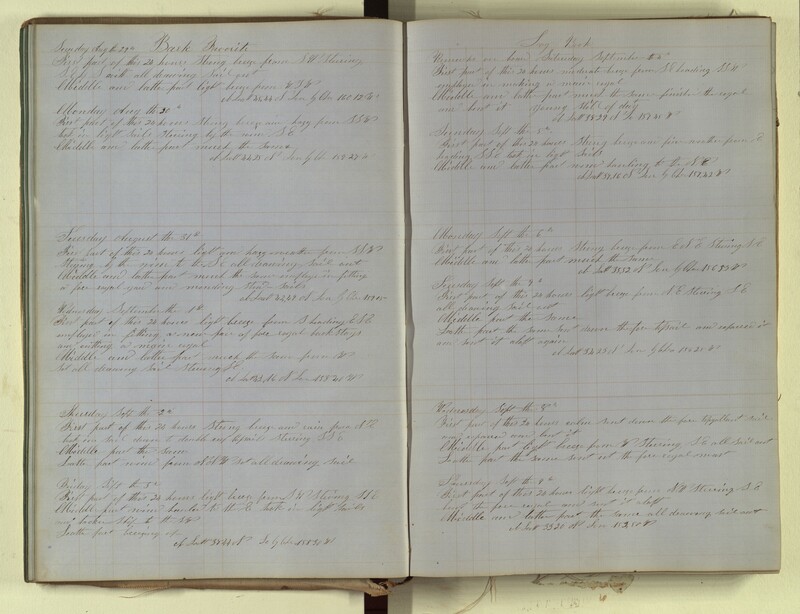 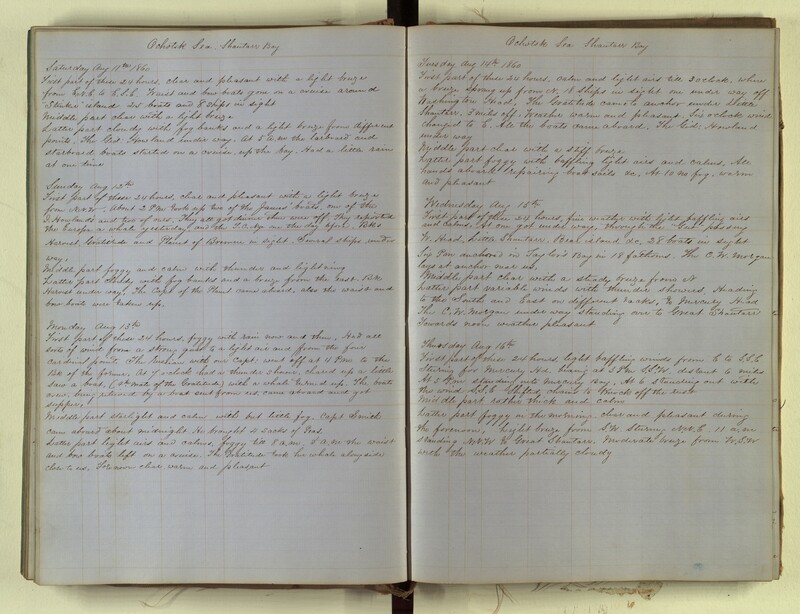 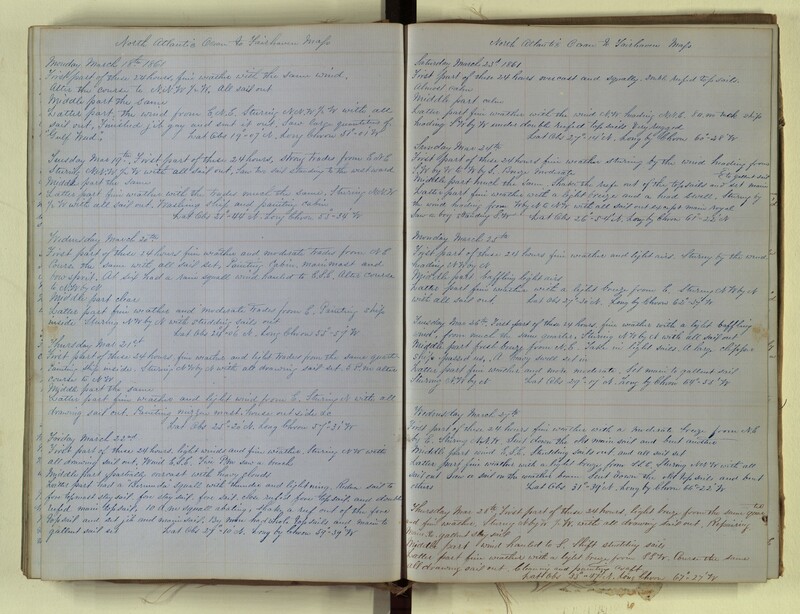 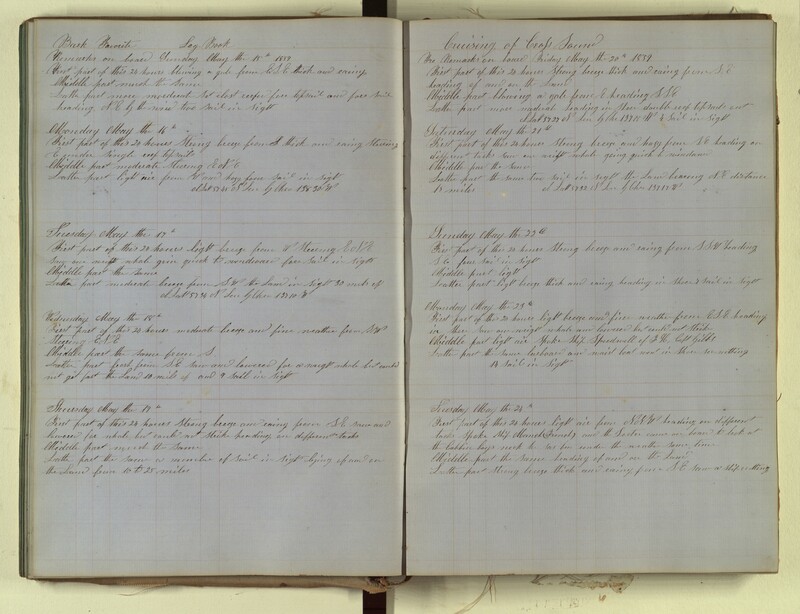 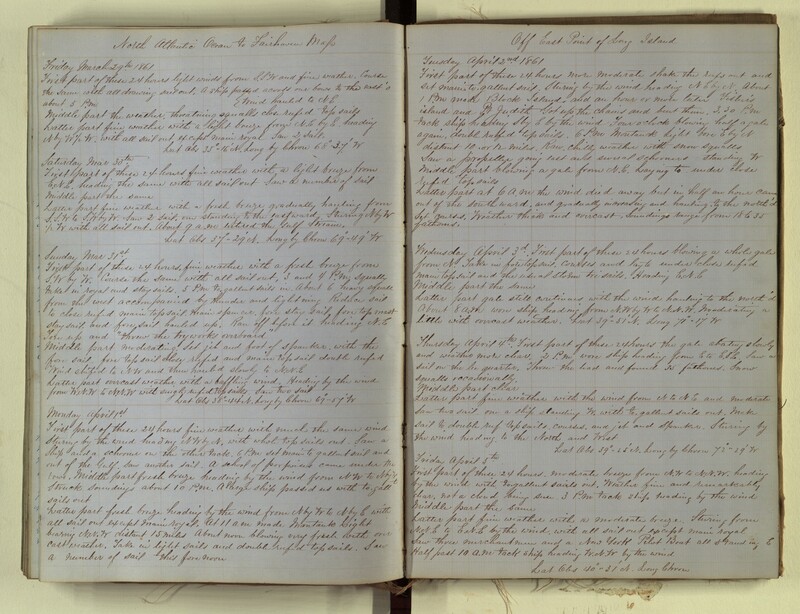 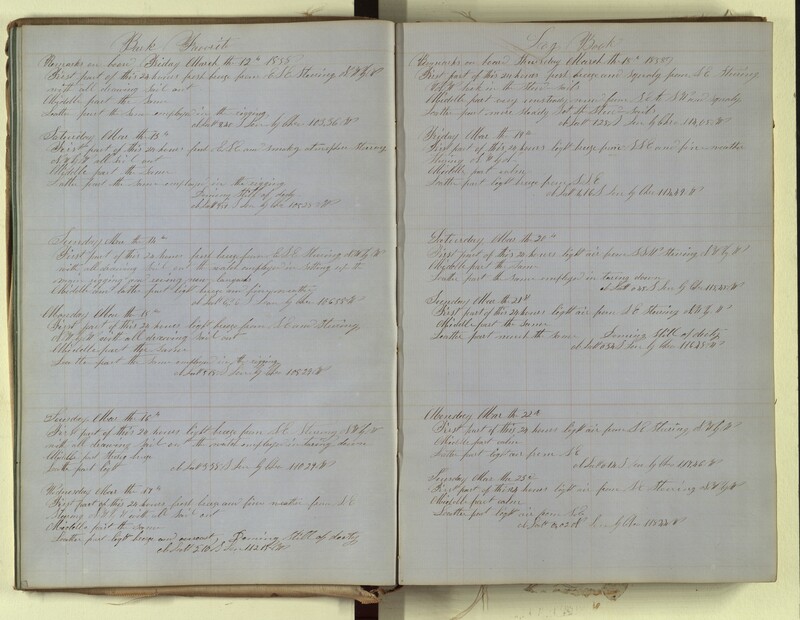 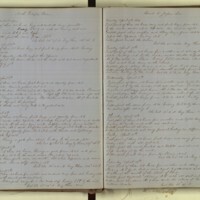 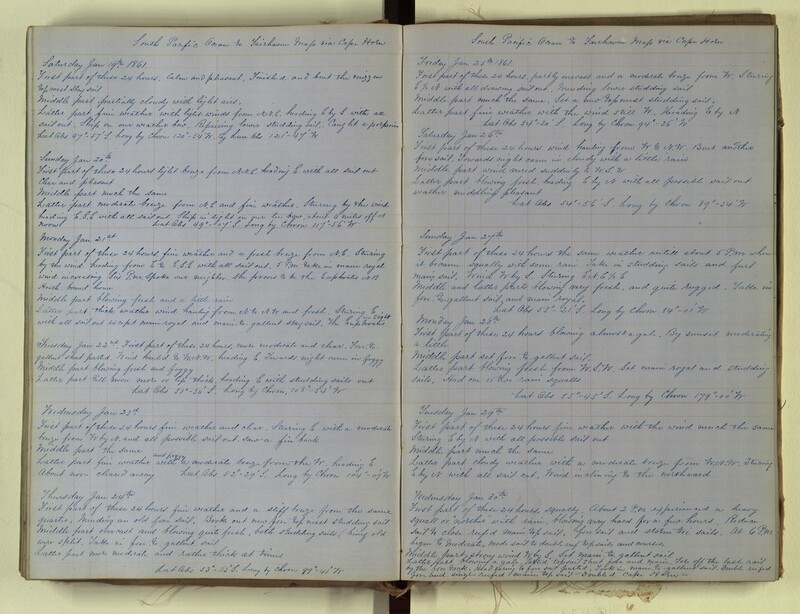 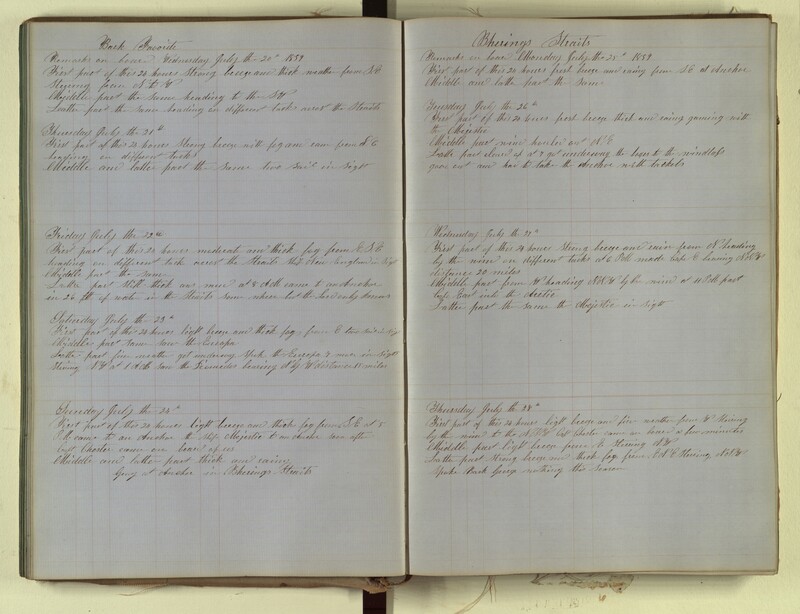 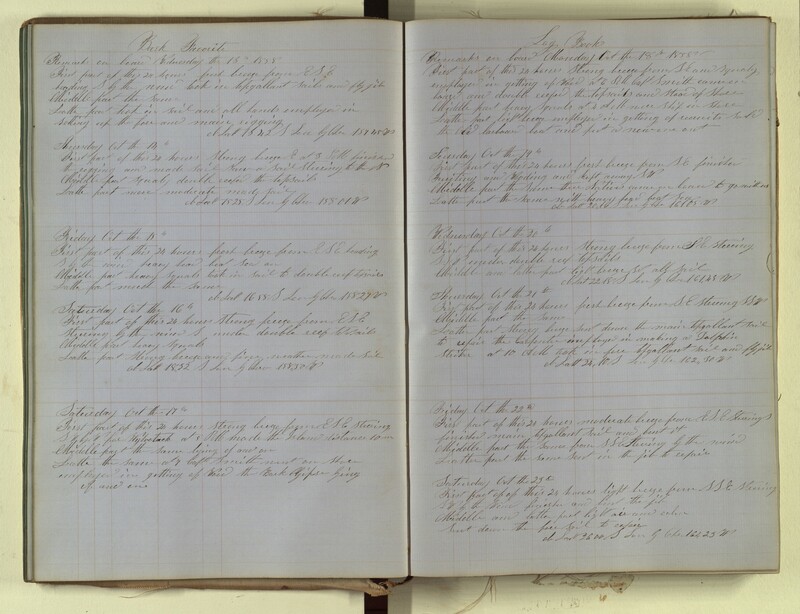 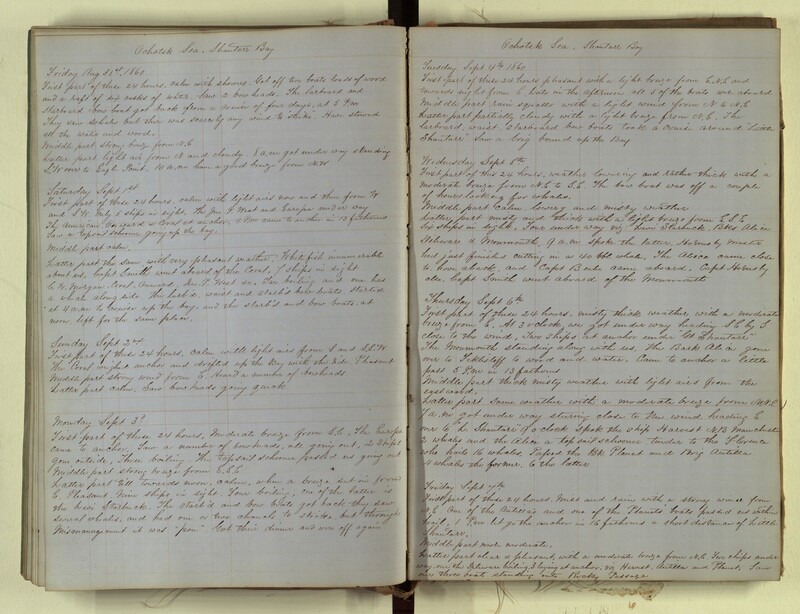 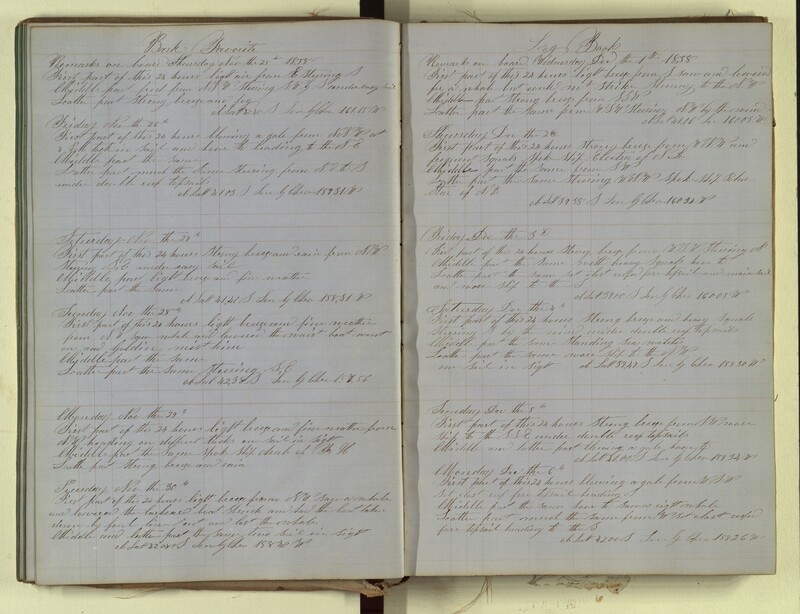 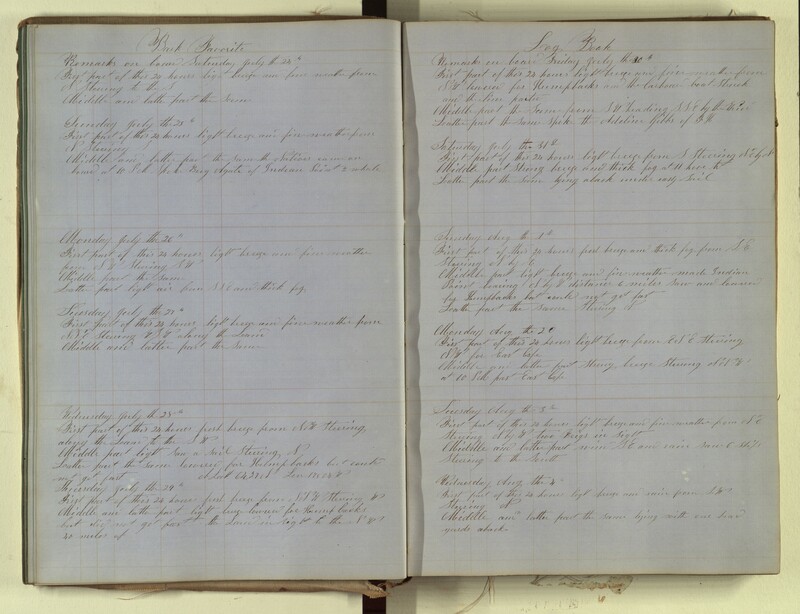 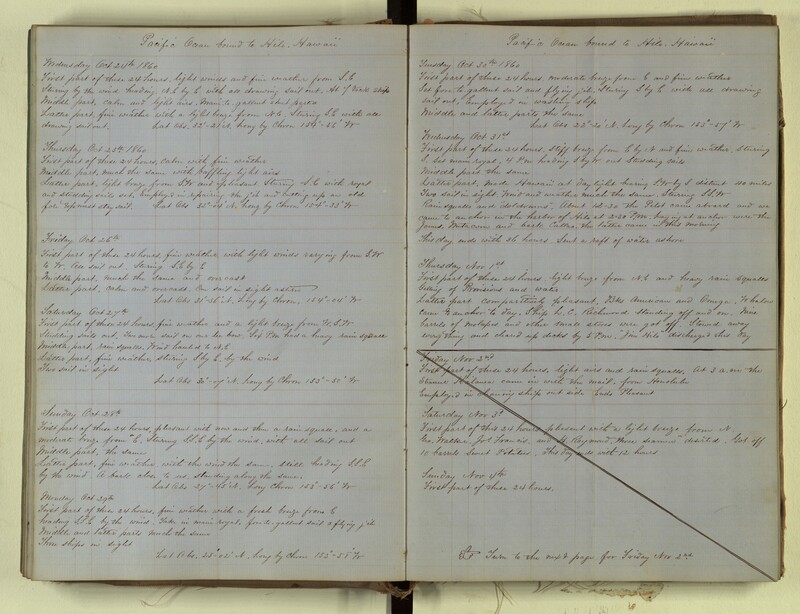 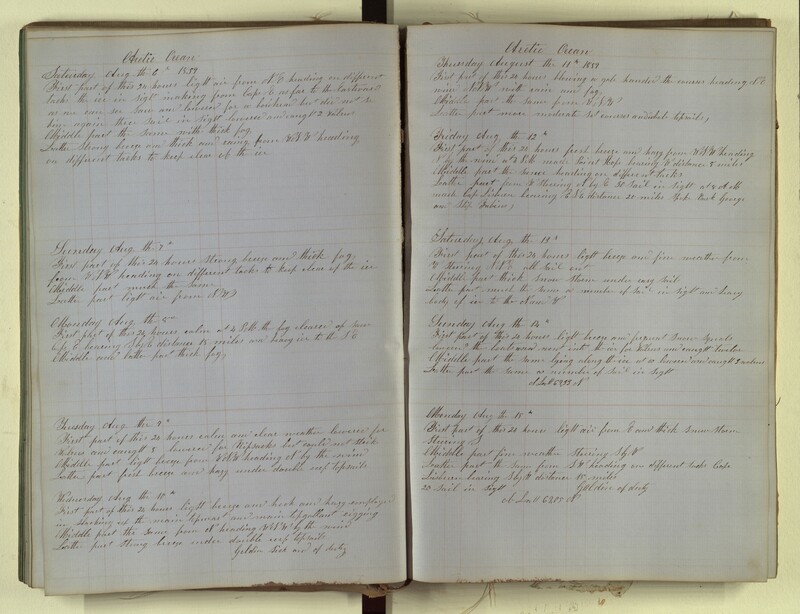 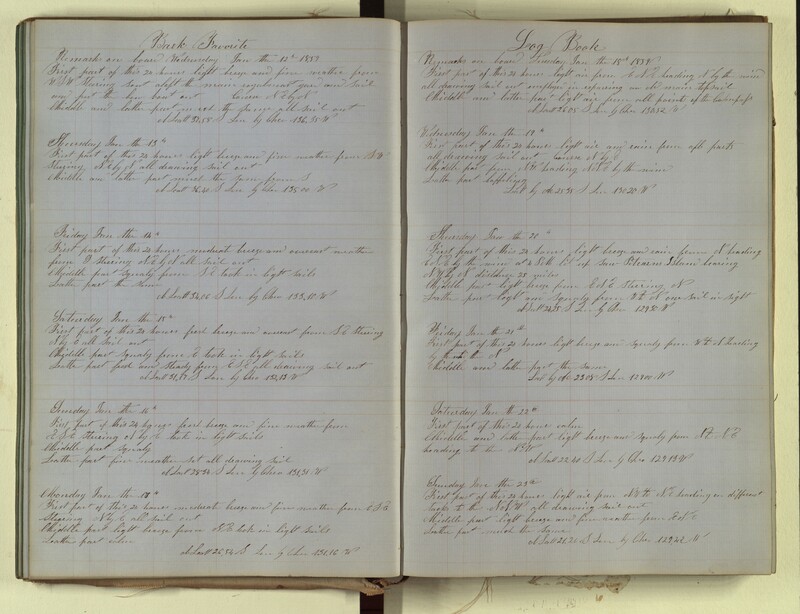 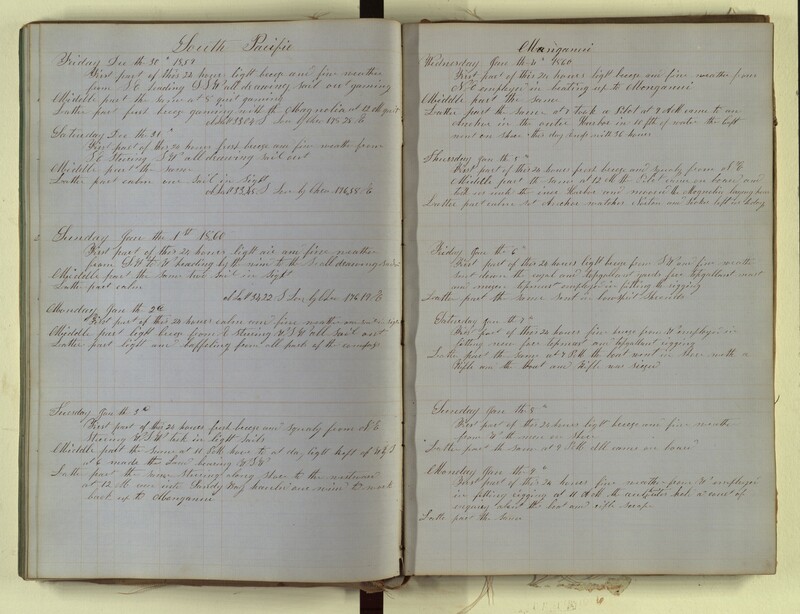 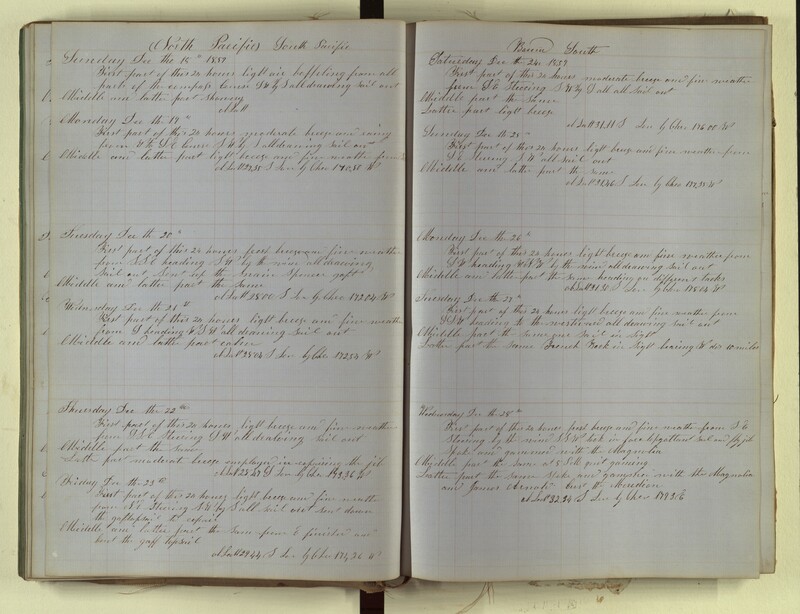 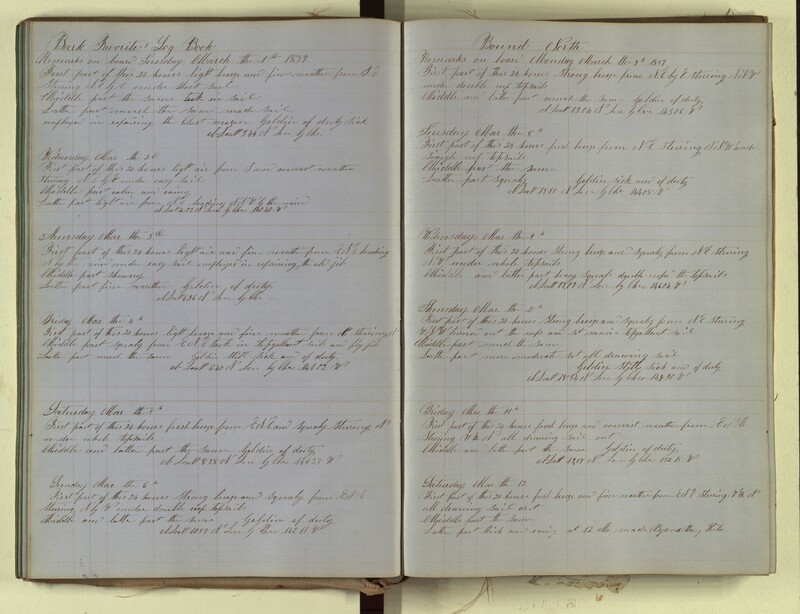 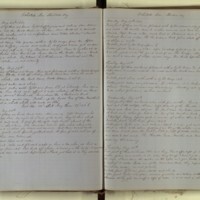 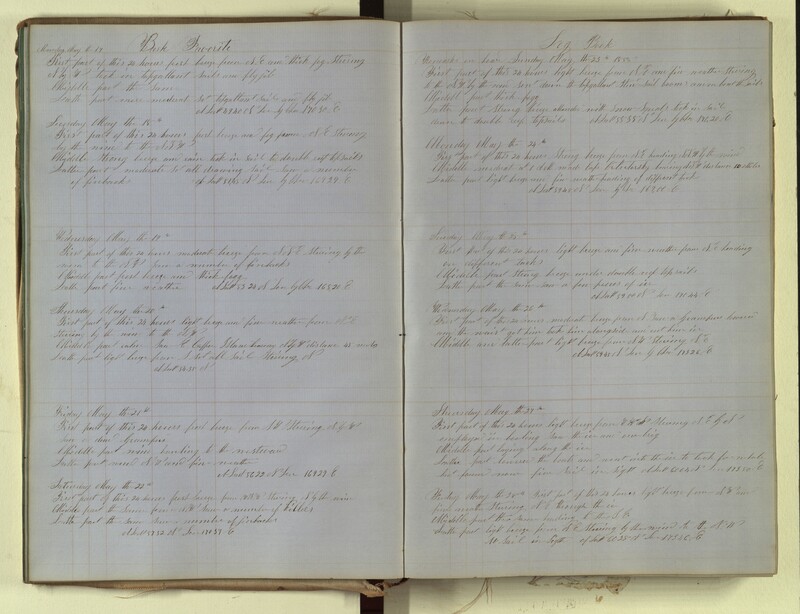 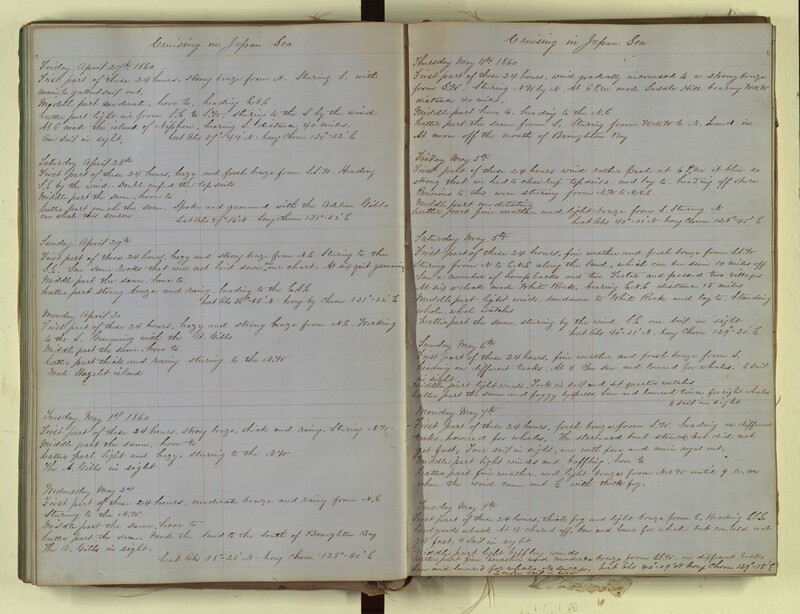 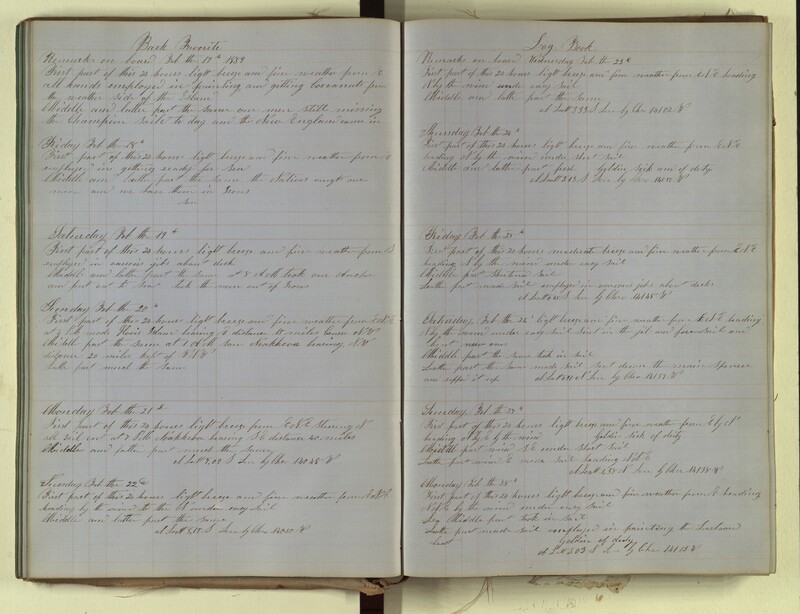 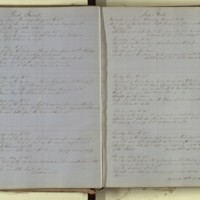 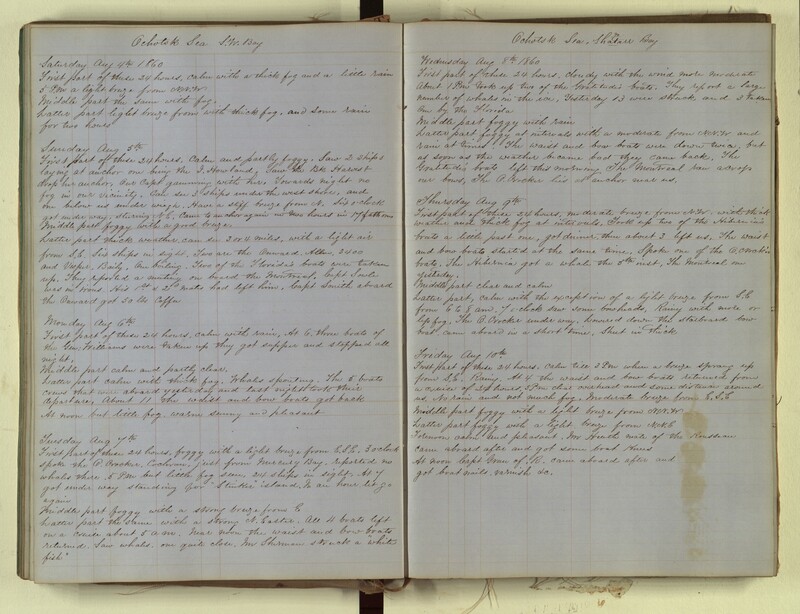 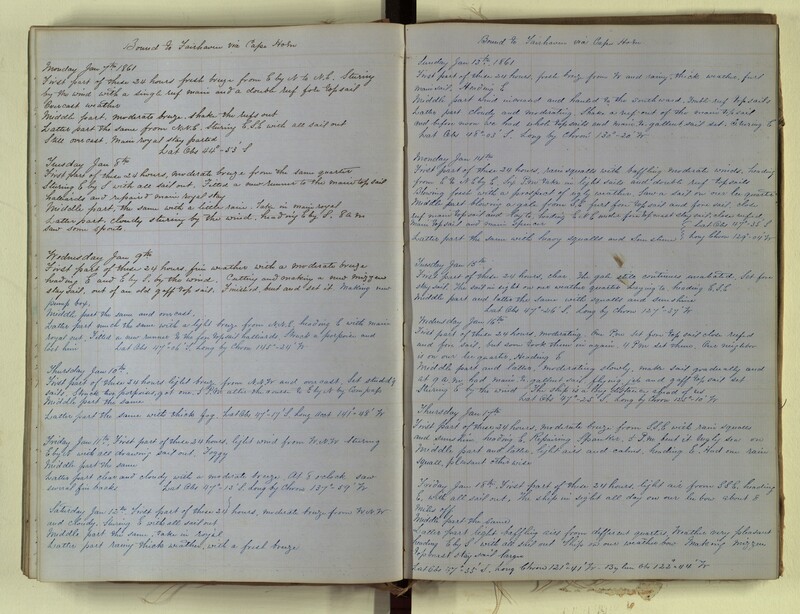 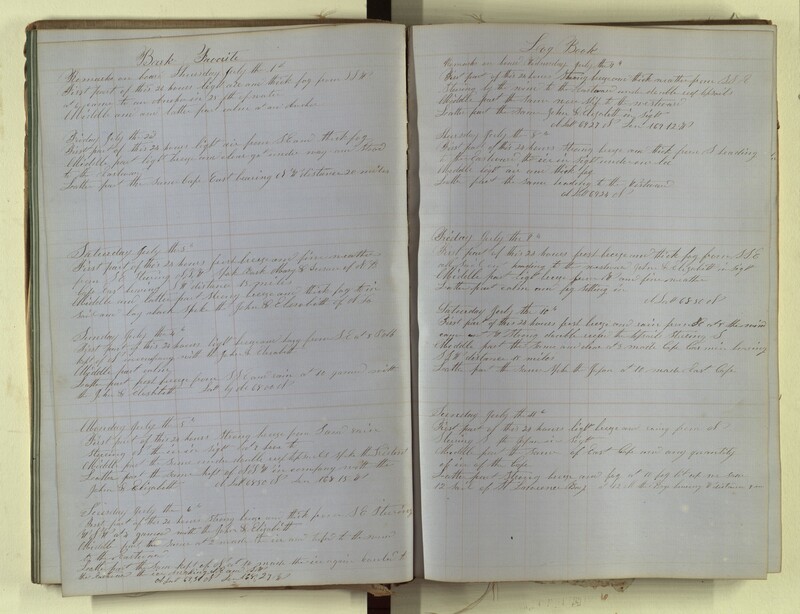 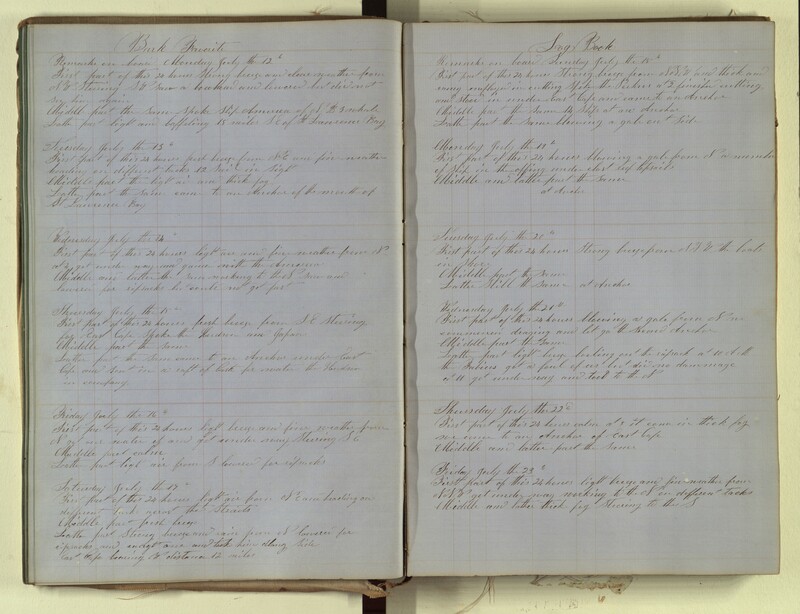 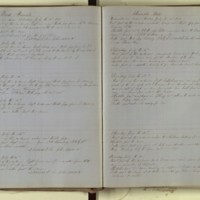 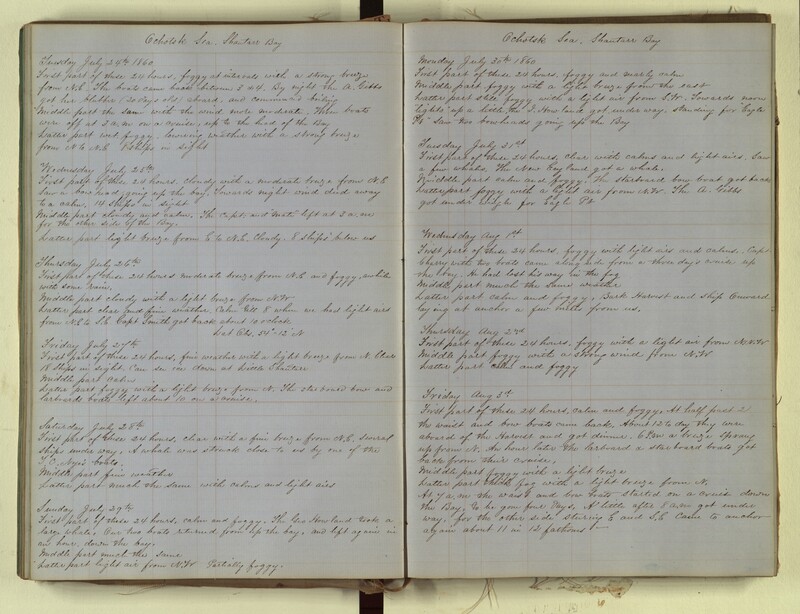 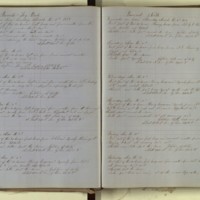 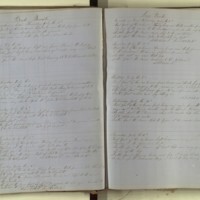 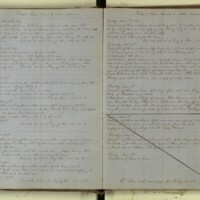 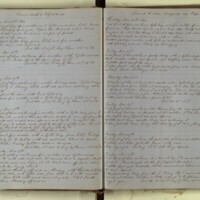 “Log of the Favorite,1857-1861,” accessed April 19, 2019, http://pplspc.org/digital/items/show/20.